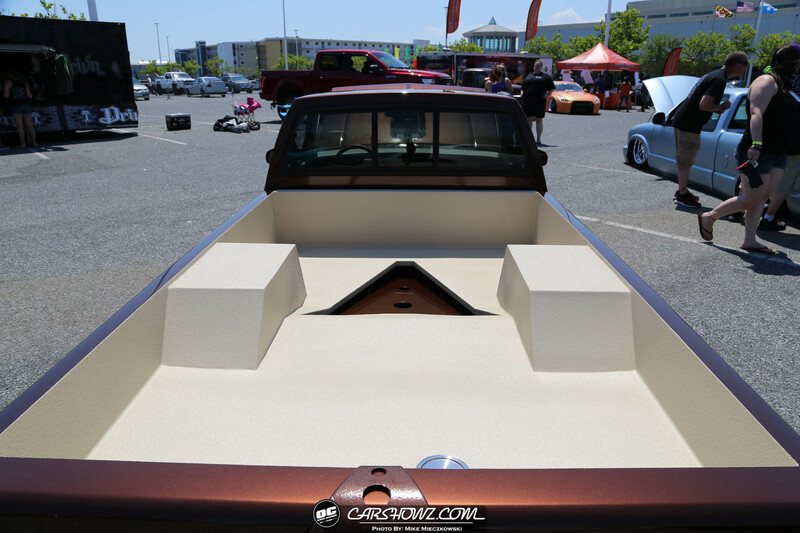 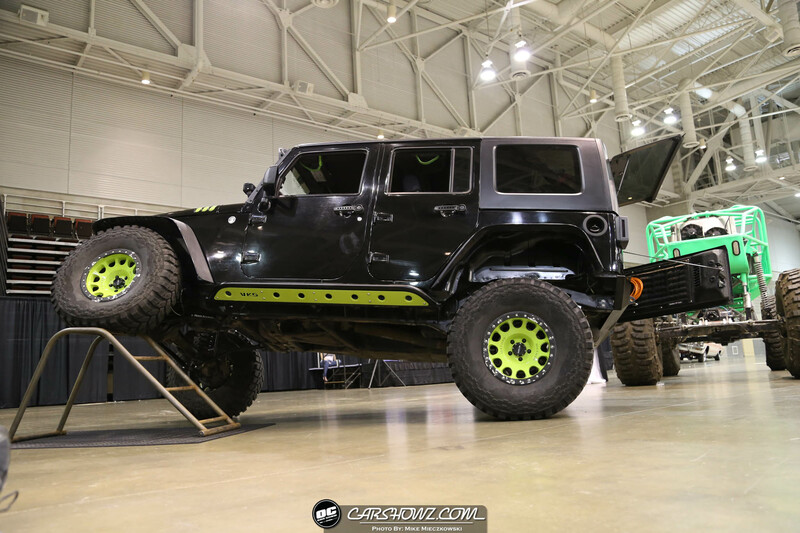 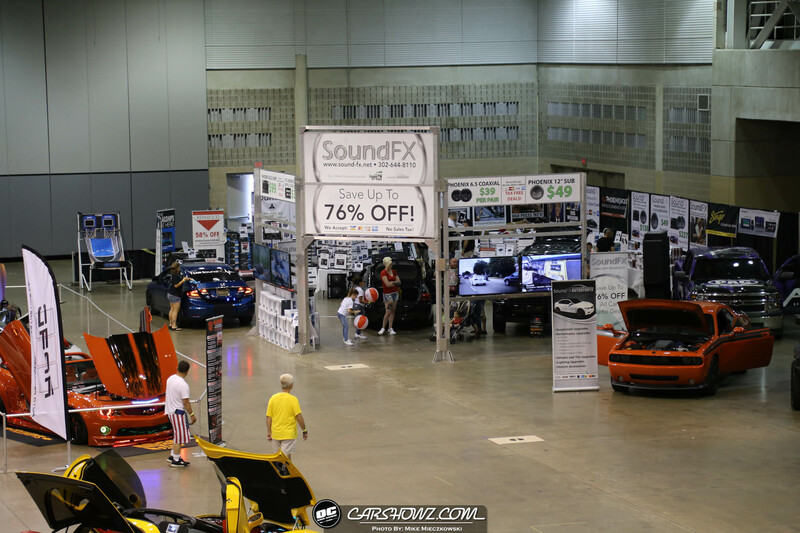 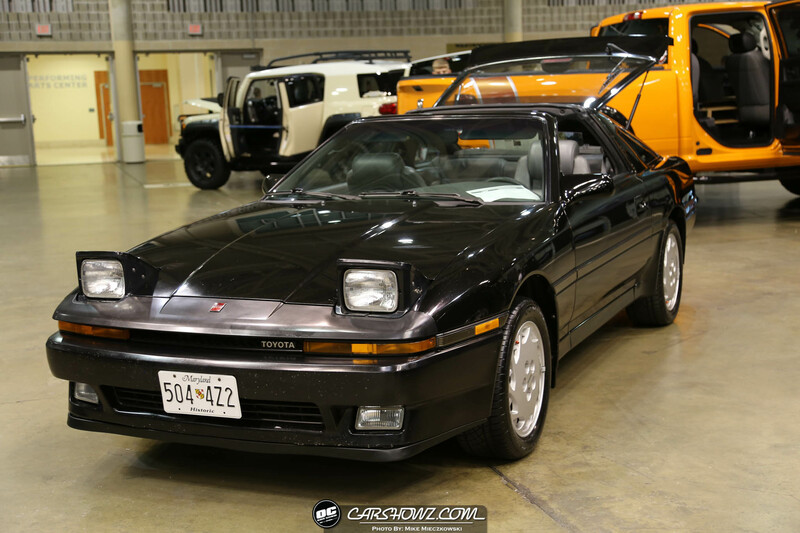 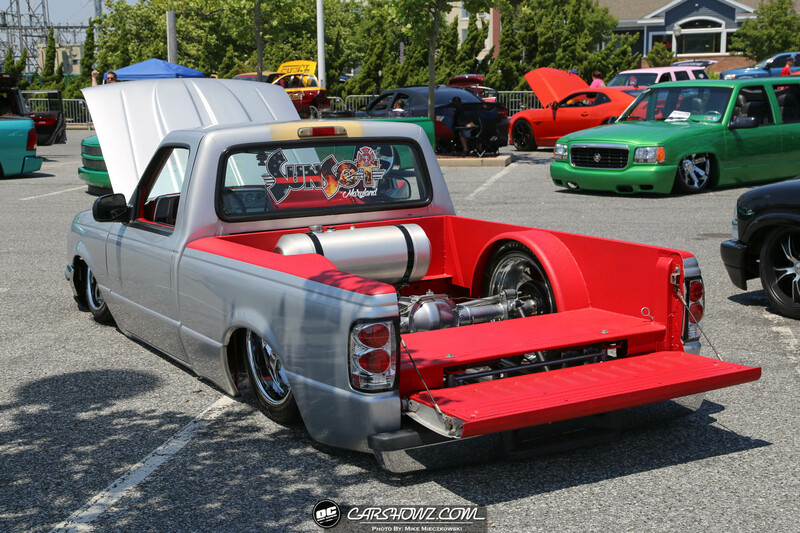 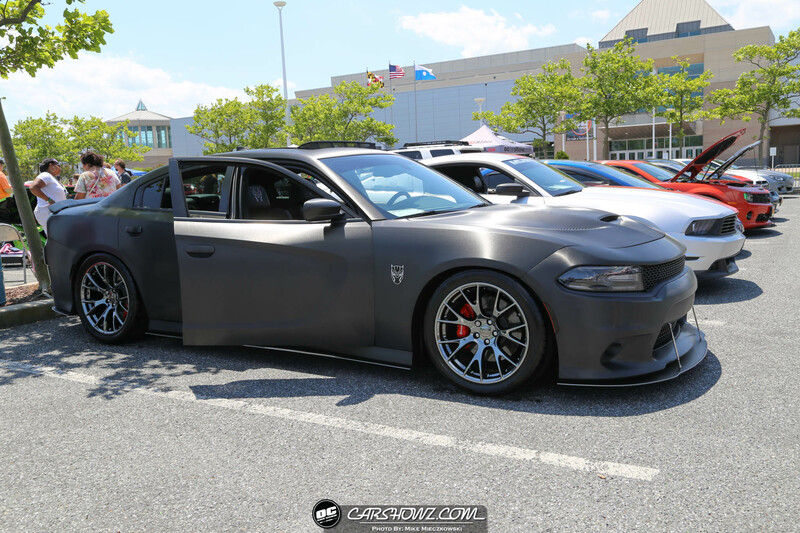 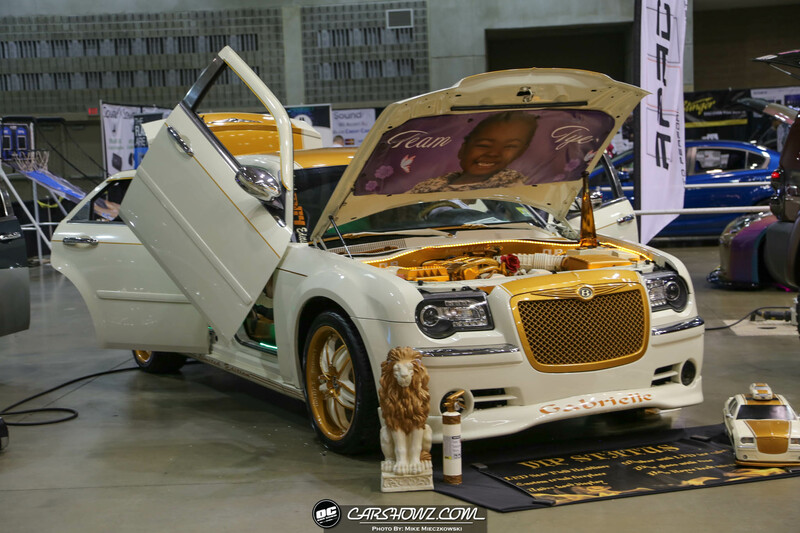 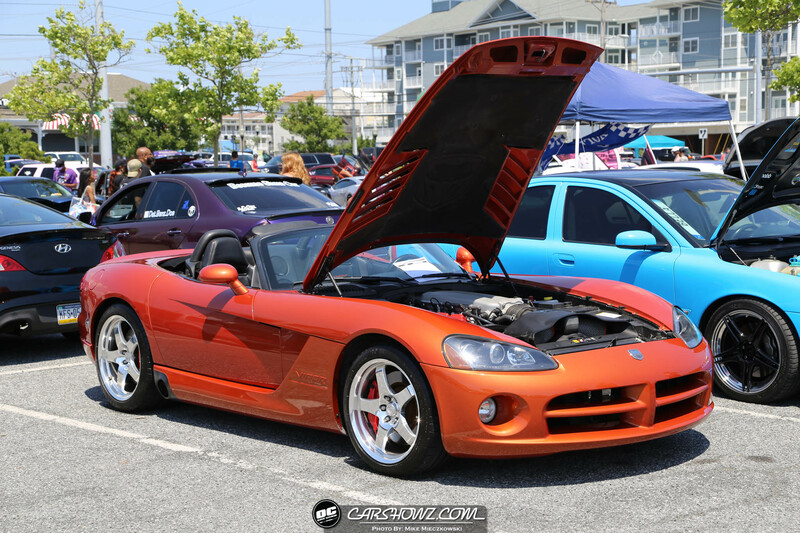 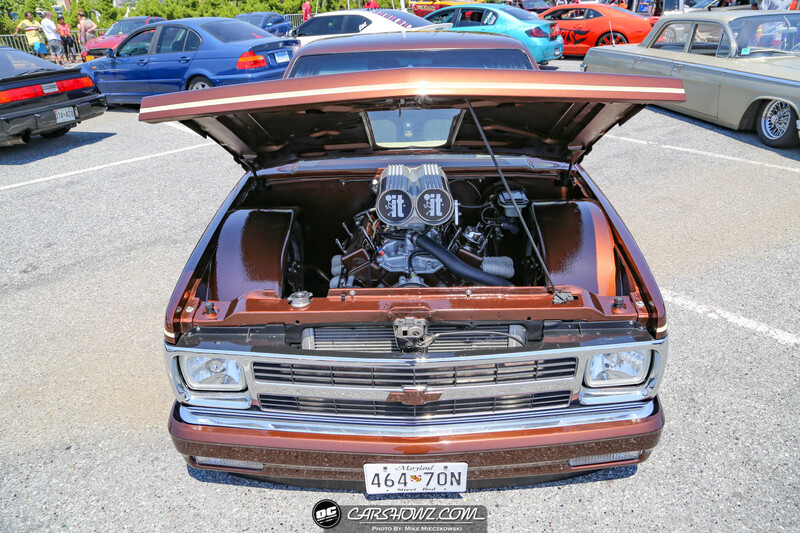 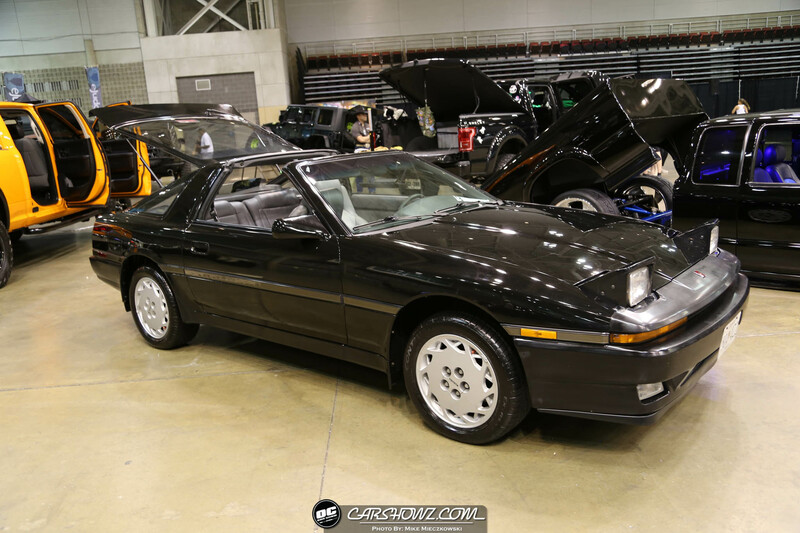 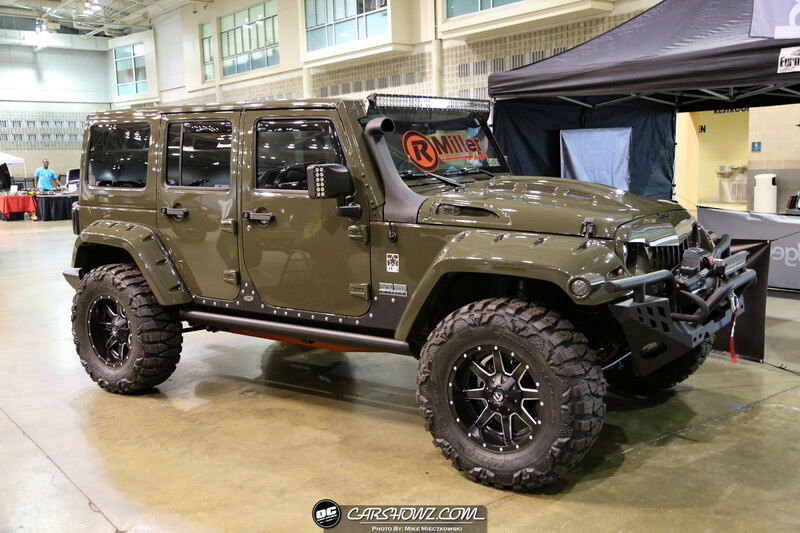 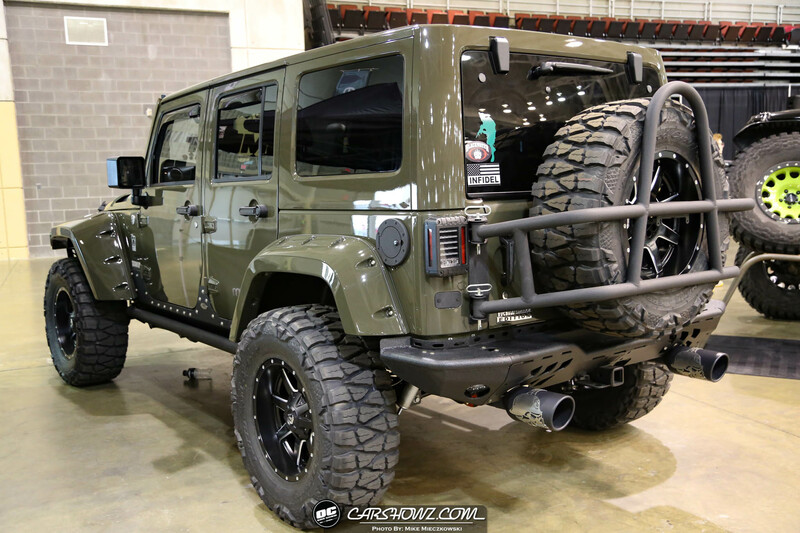 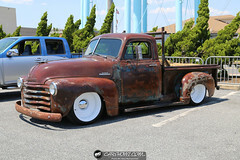 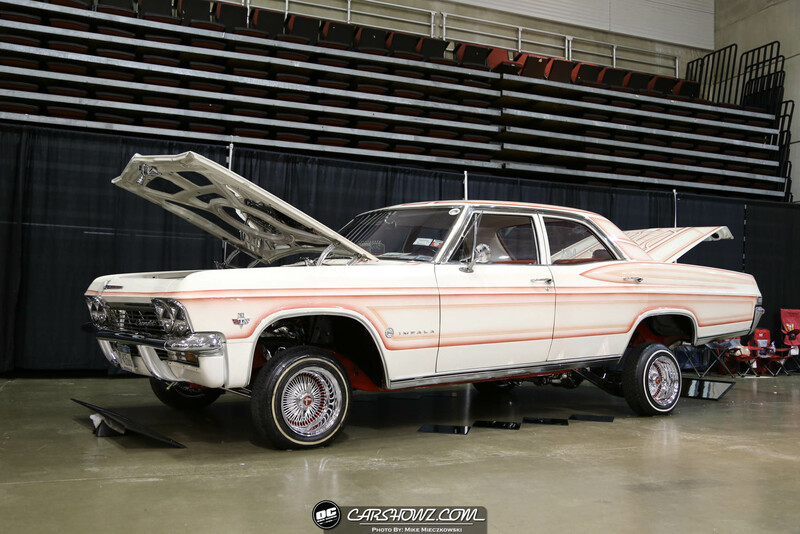 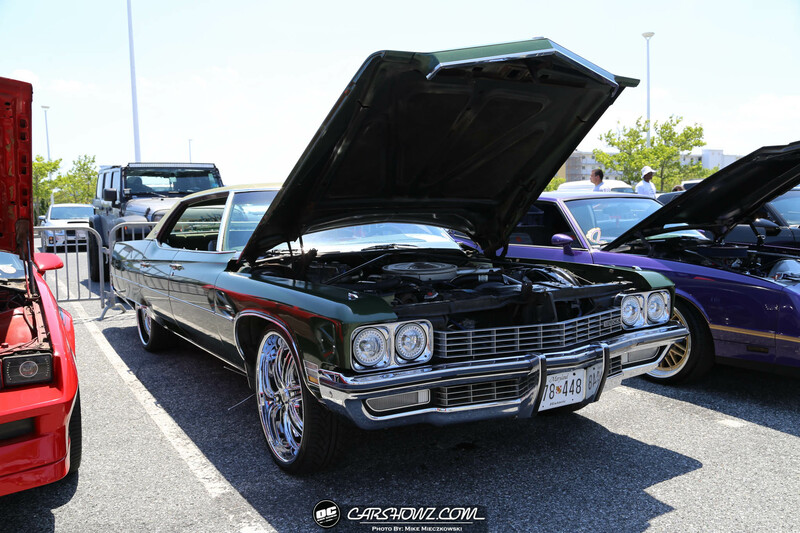 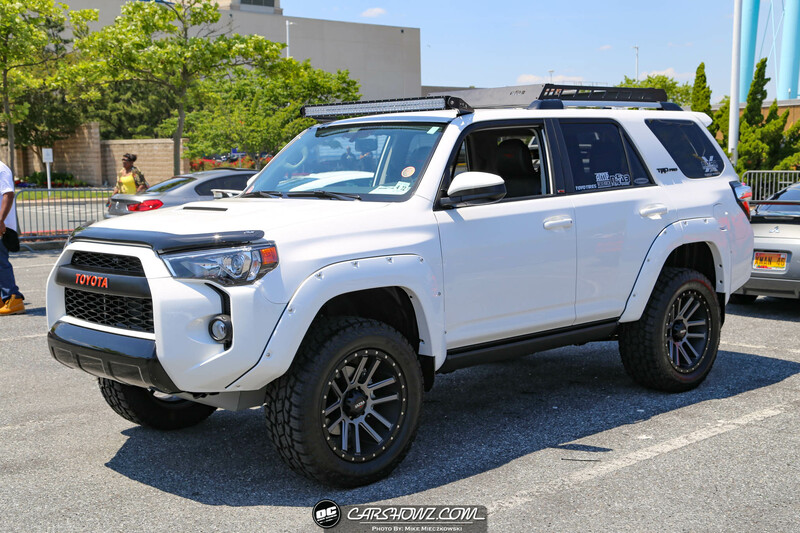 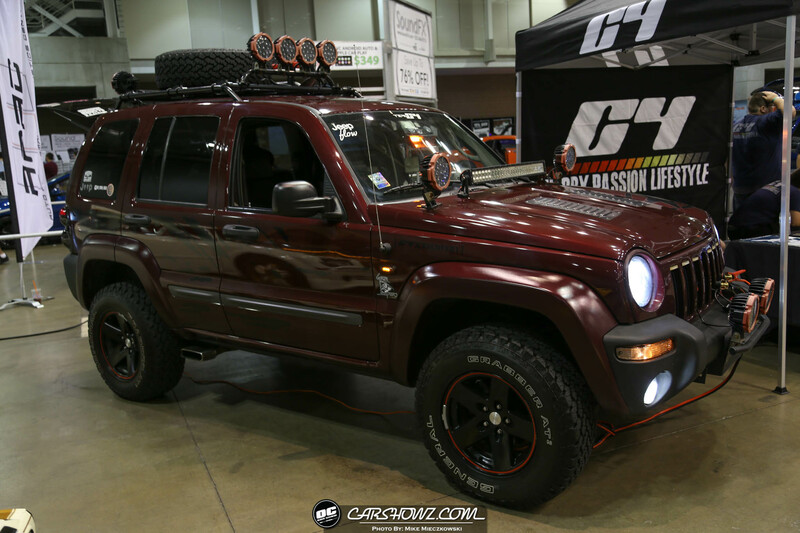 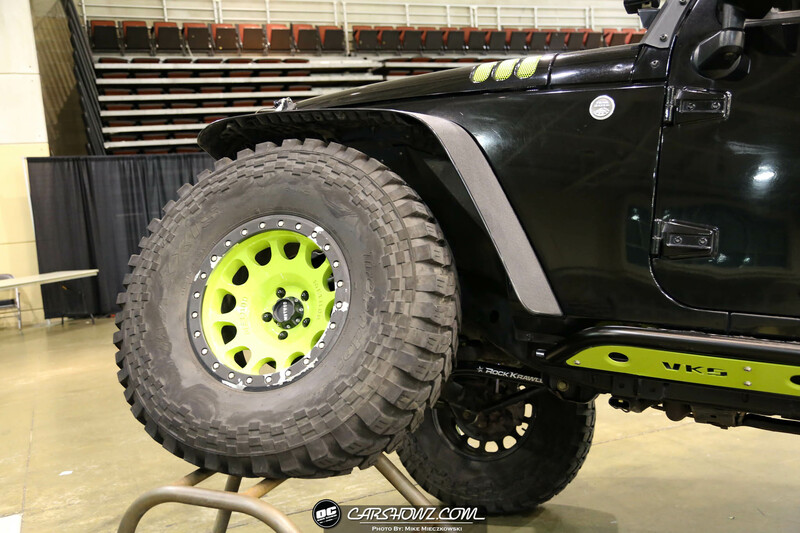 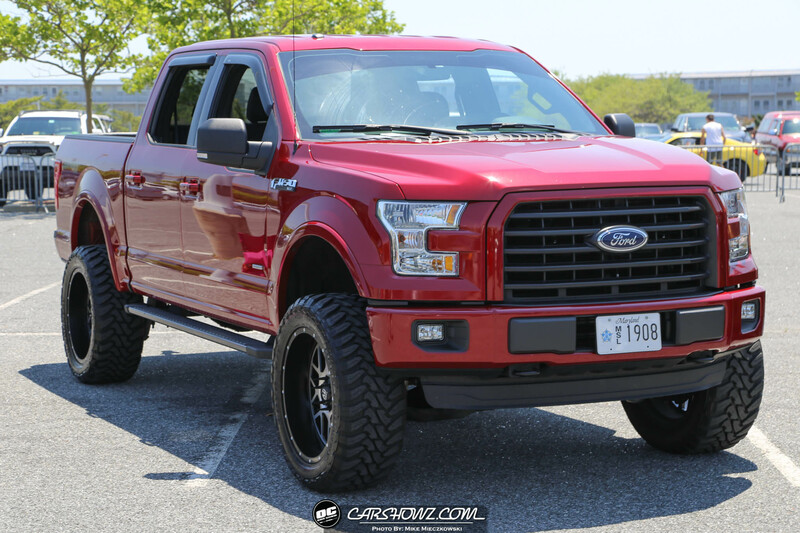 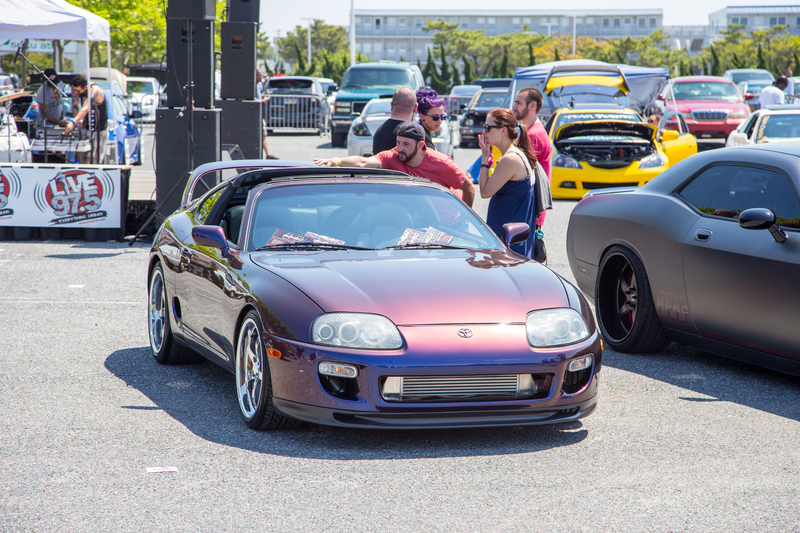 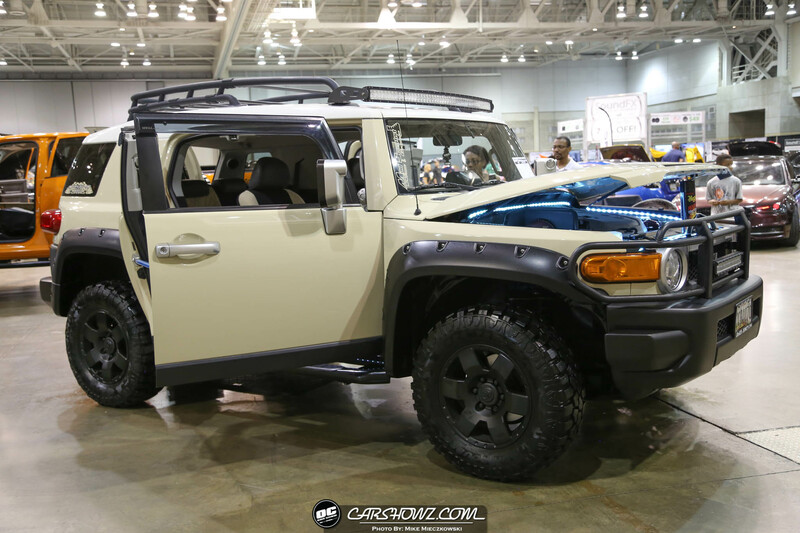 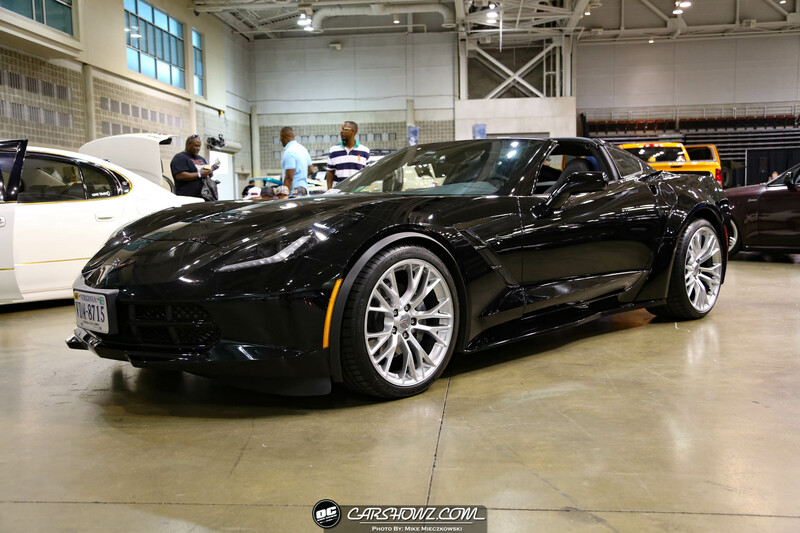 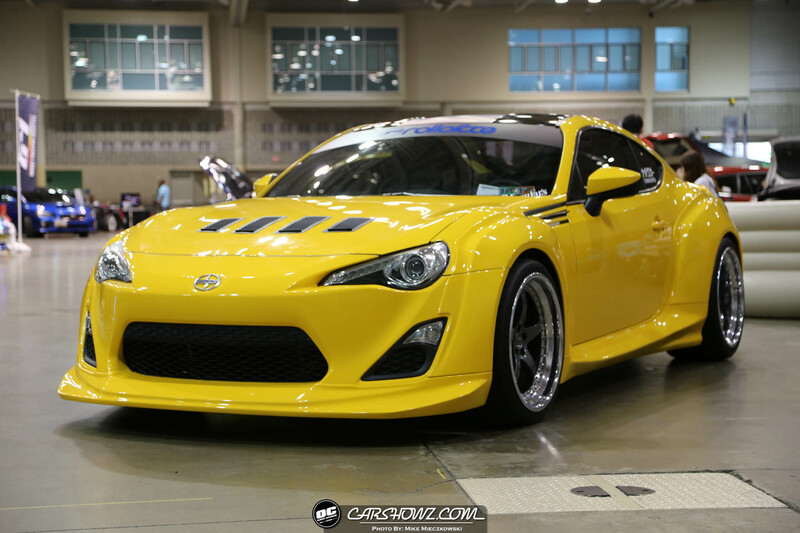 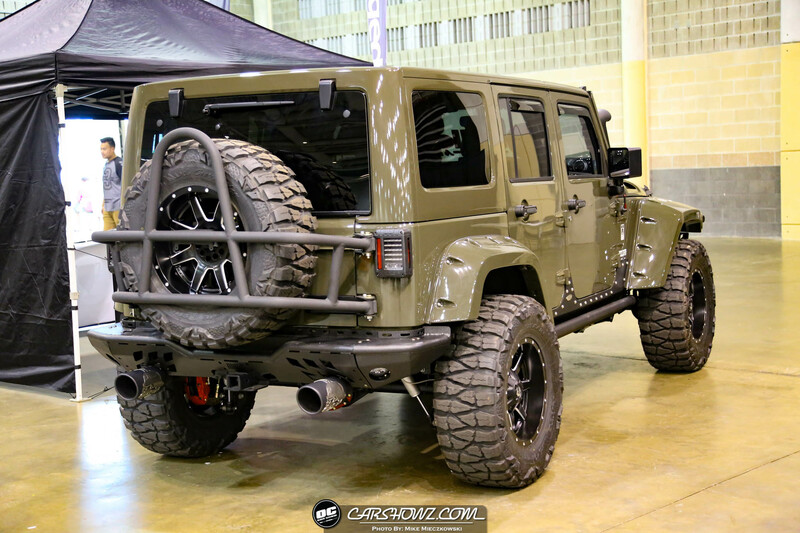 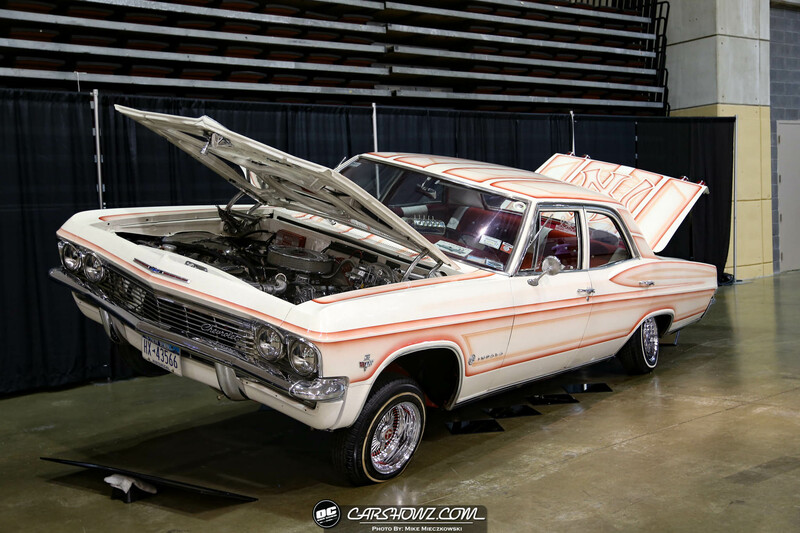 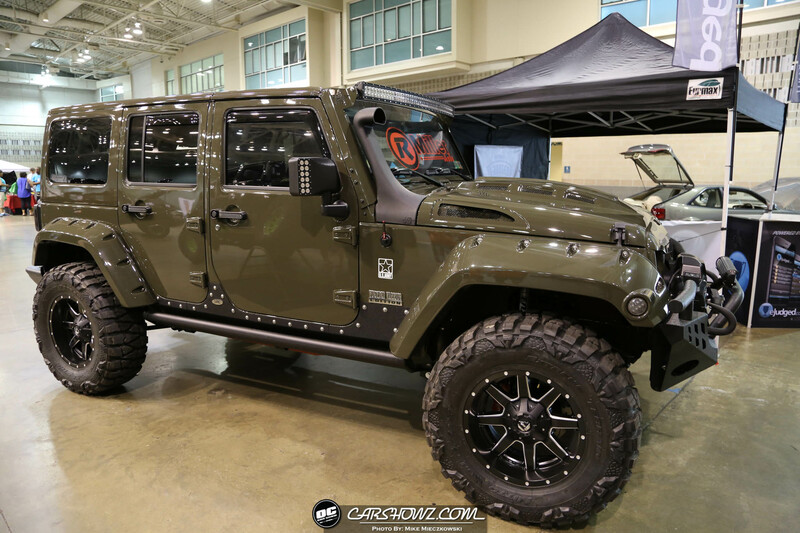 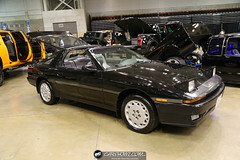 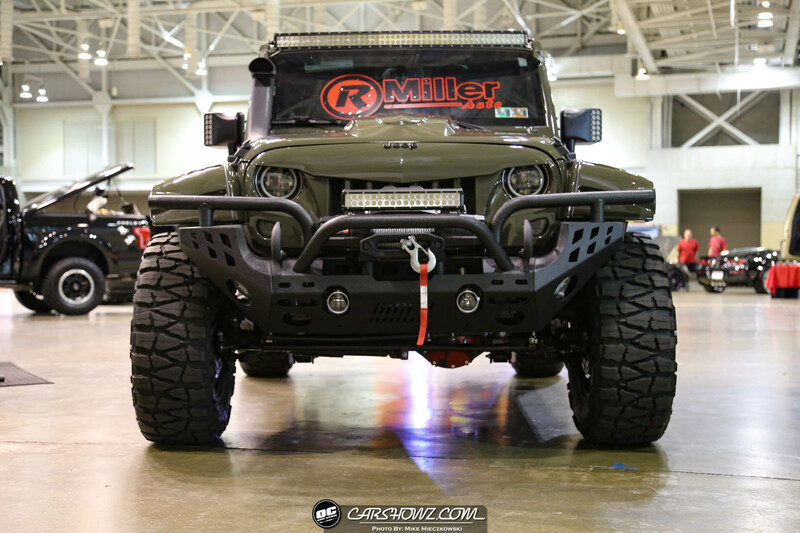 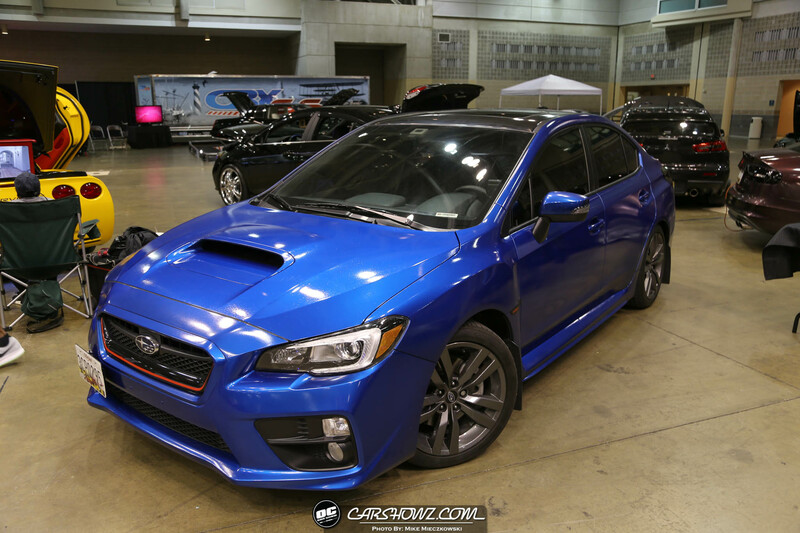 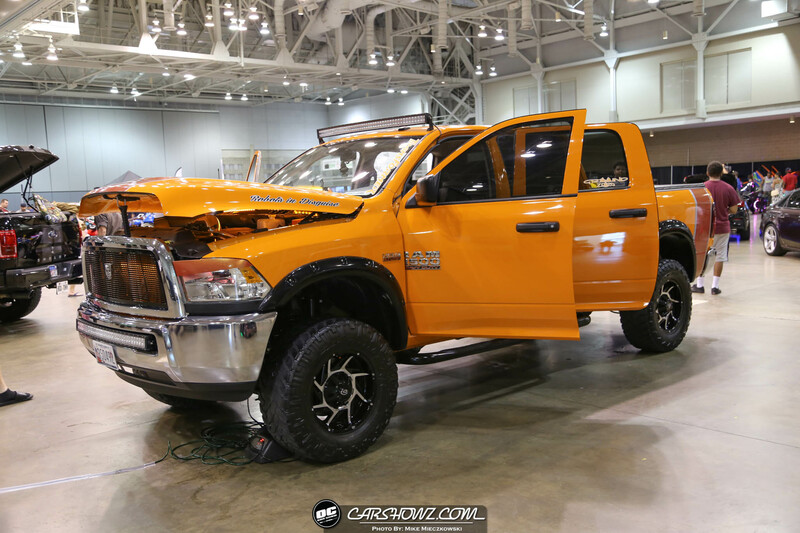 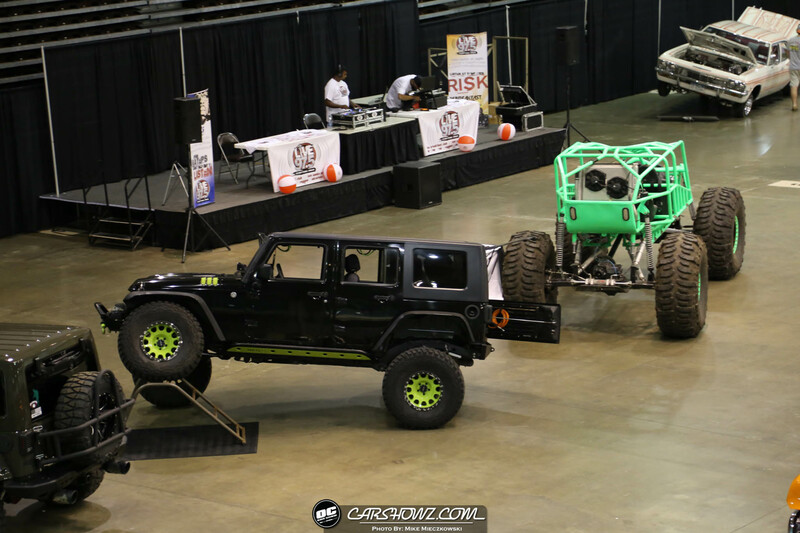 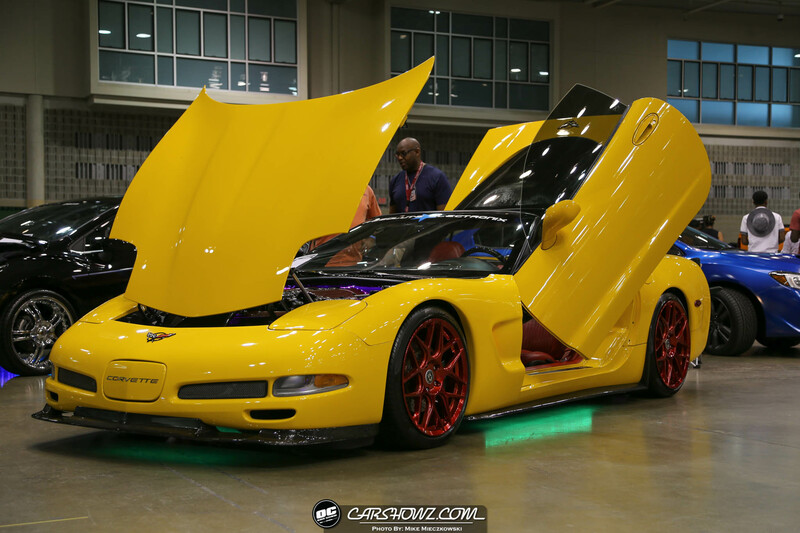 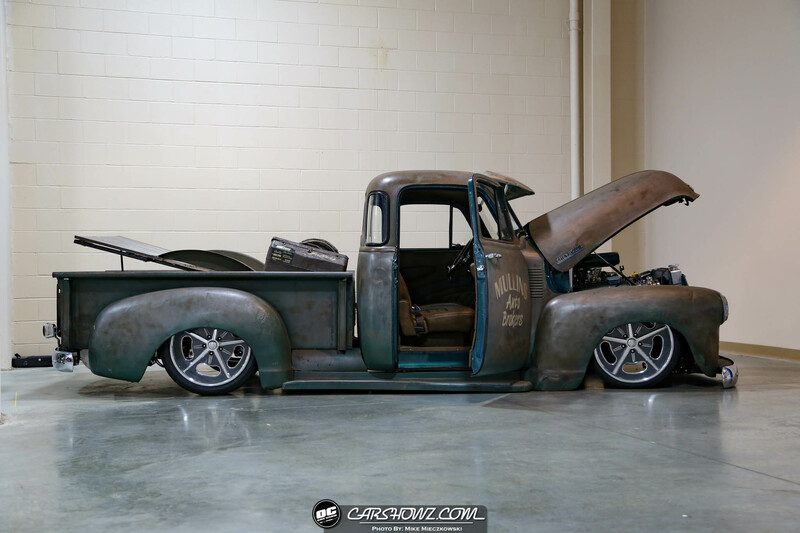 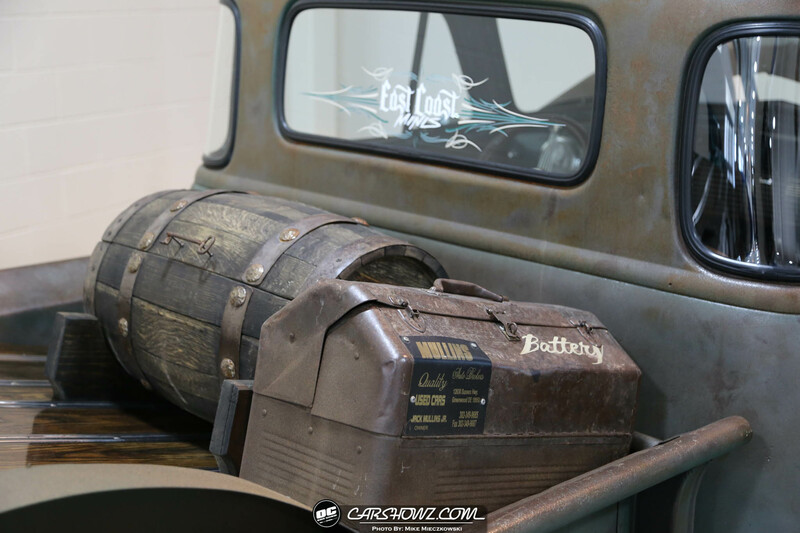 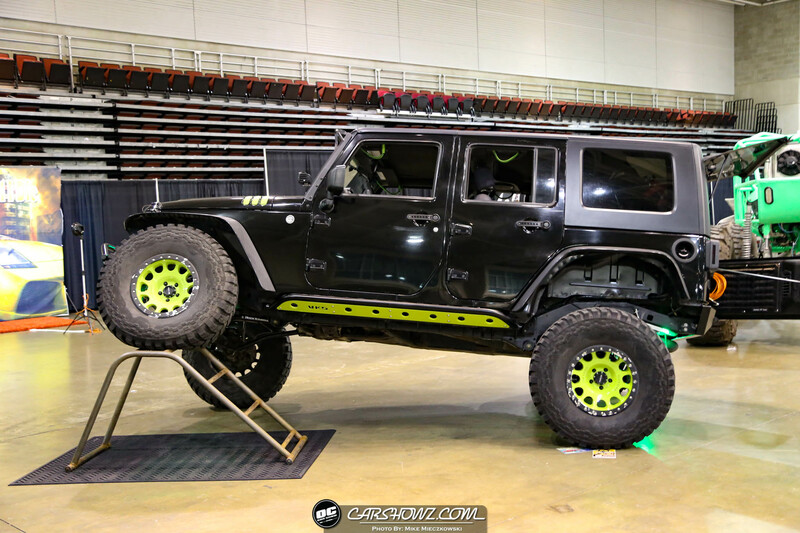 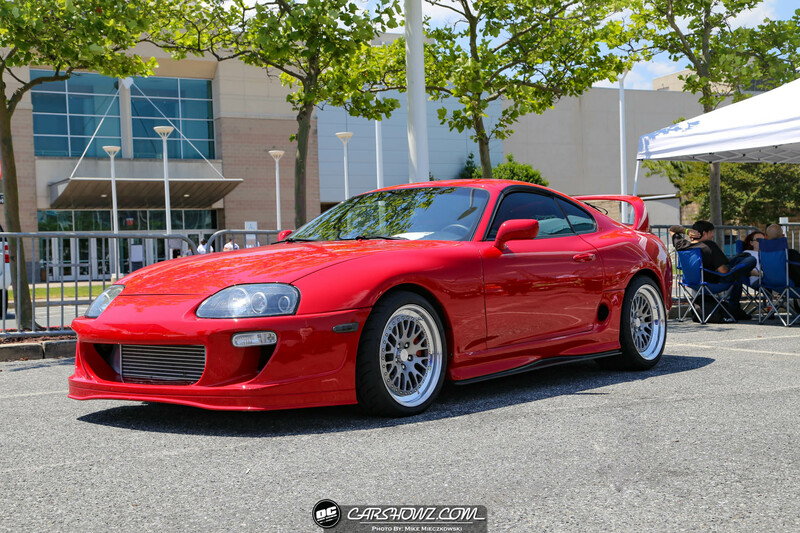 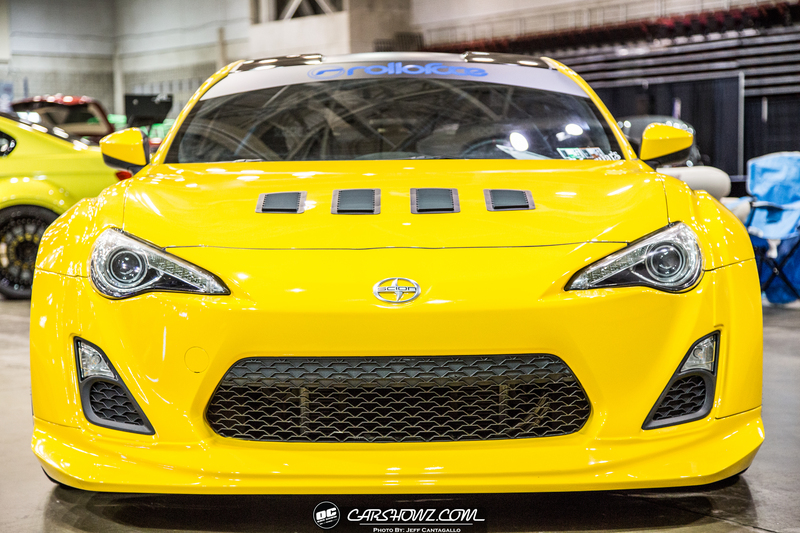 OC Car and Truck Show 2017 was hosted at the Roland E. Powell Convention Center, in Ocean City, MD. 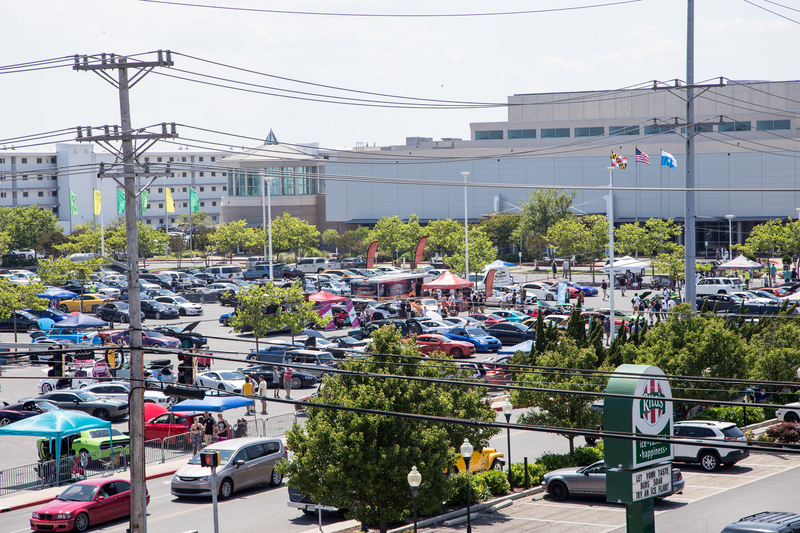 on June 10-11, 2017. 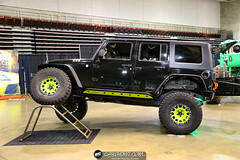 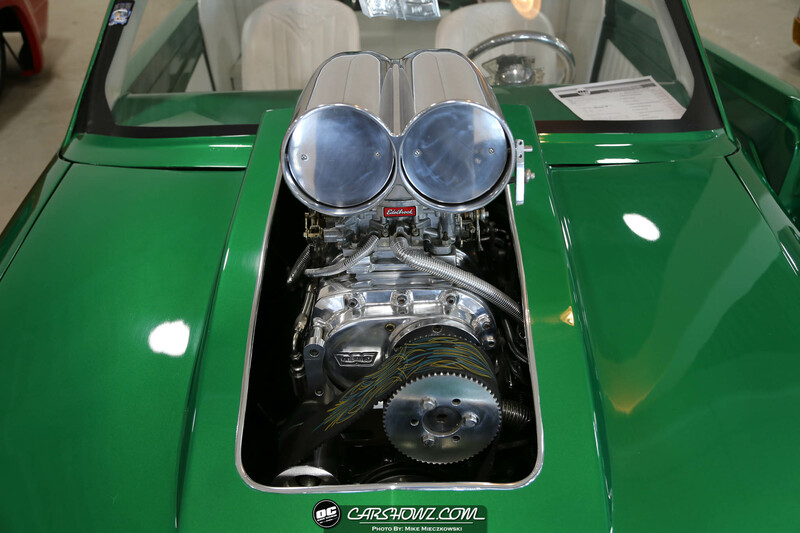 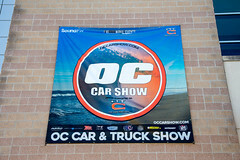 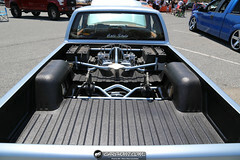 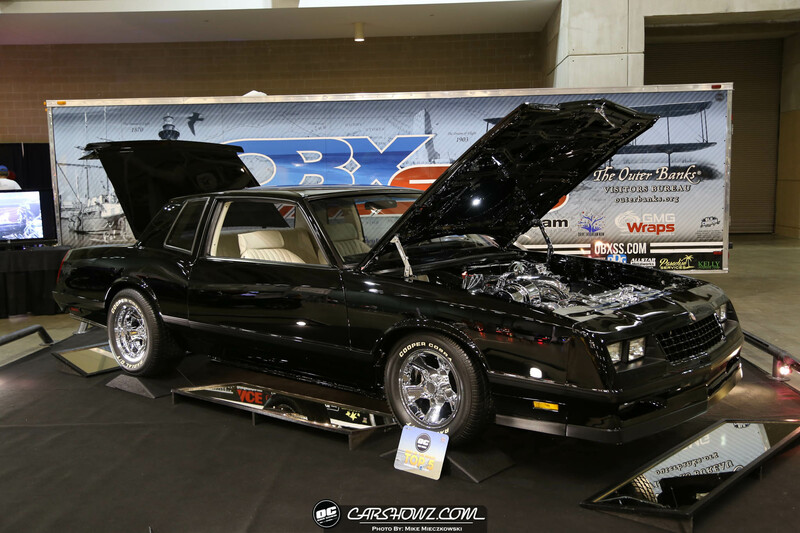 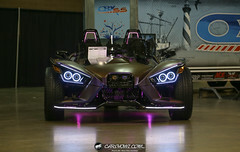 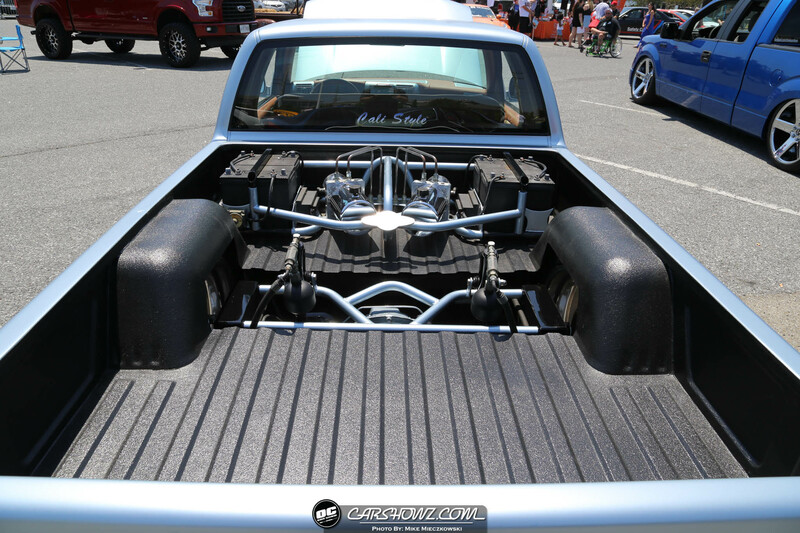 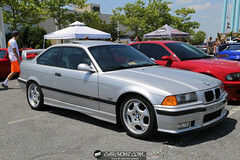 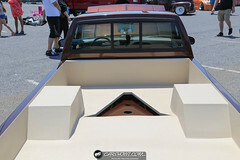 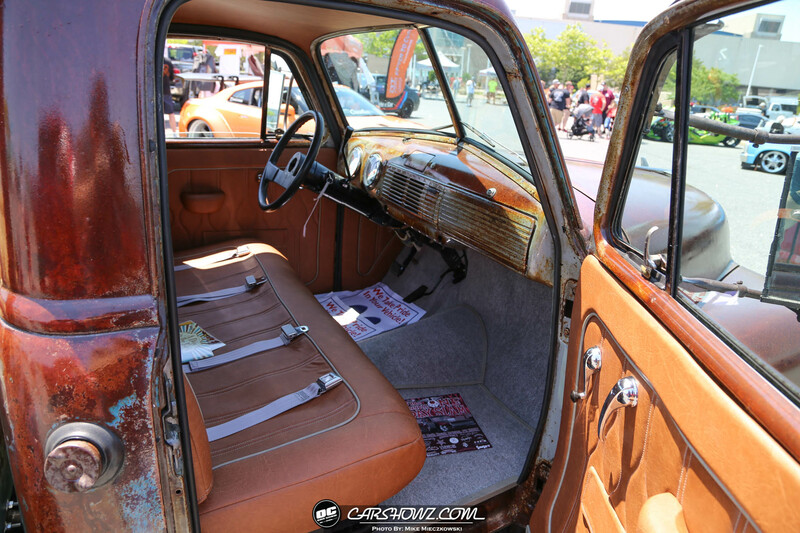 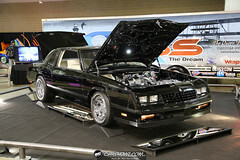 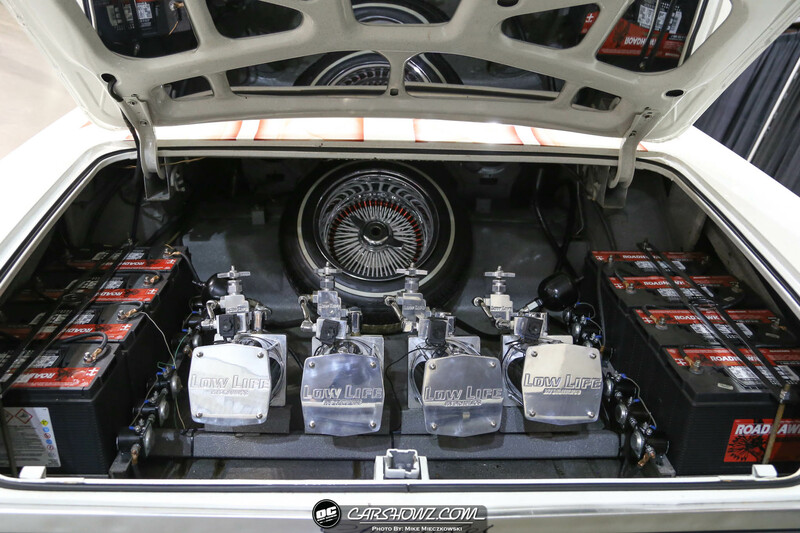 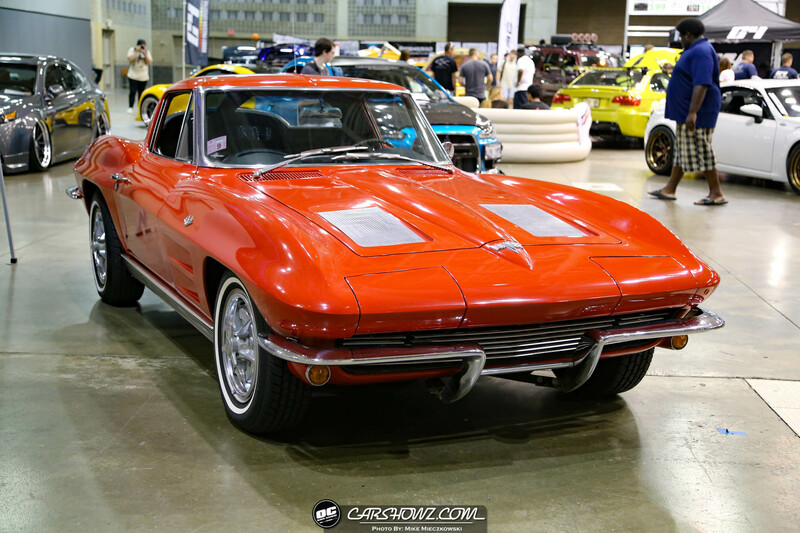 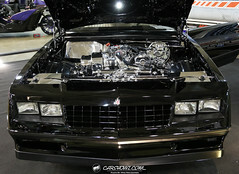 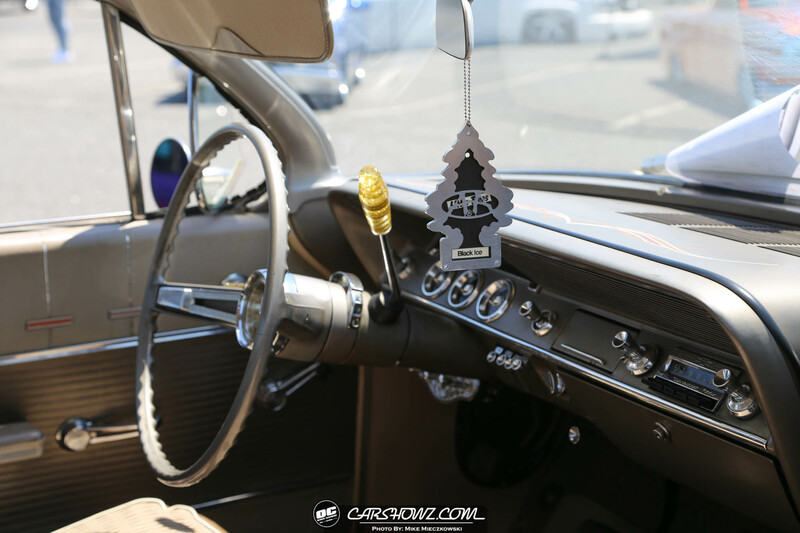 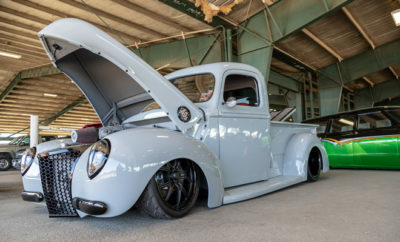 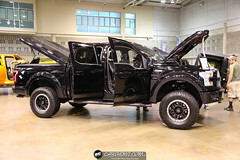 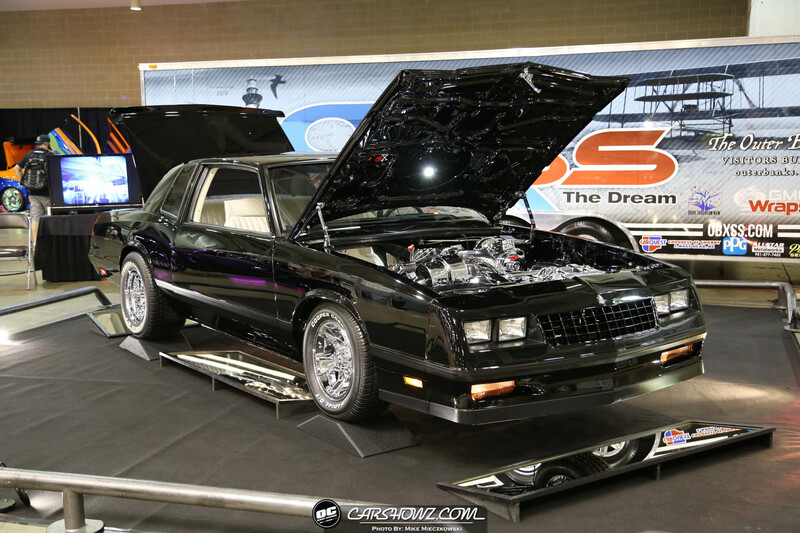 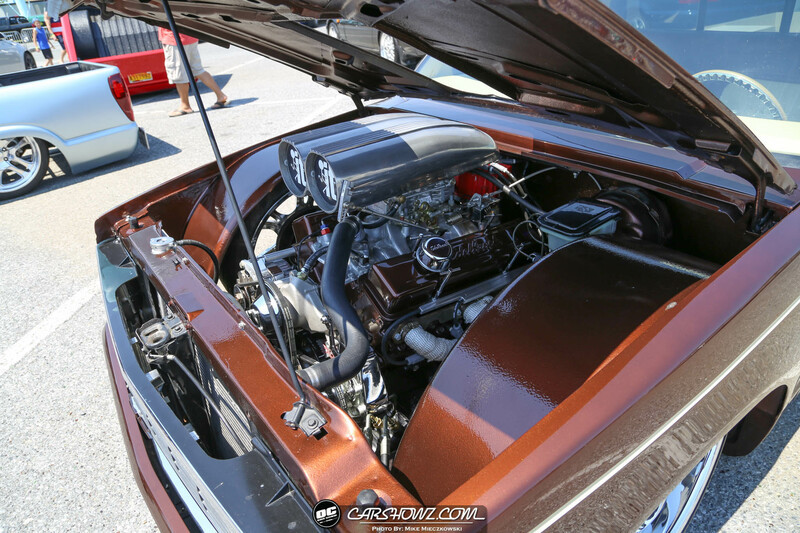 This year marked 17 years for the OC Car and Truck Show. 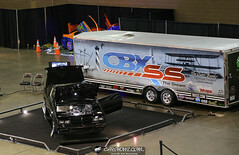 Owner, Brad Hoffman switched things up a bit for the outdoor portion of the show. 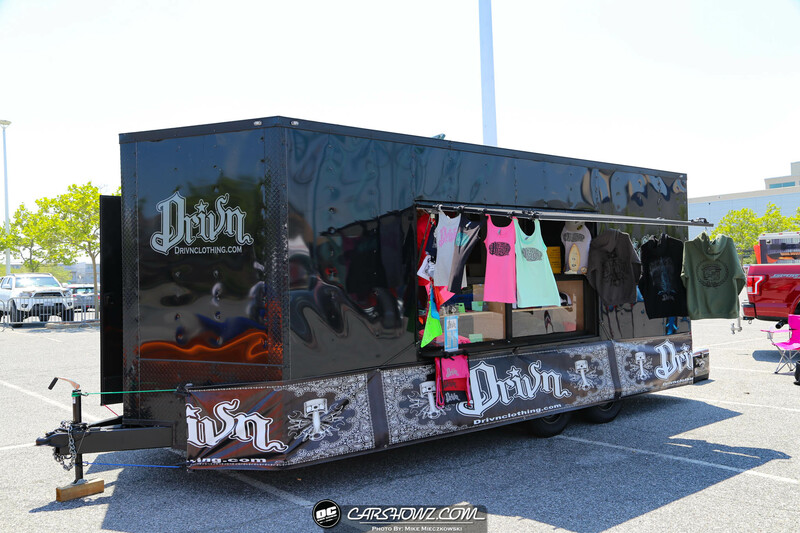 Driven to Cure took over the parking lot on Saturday with the Driven to Cure Car Meet with proceeds going directly to driventocure.org to benefit in helping to find a cure for rare kidney cancer. Sunday was the Shoreline Showdown hosted by East Coast Minis (ECM) which hosted both cars and trucks. 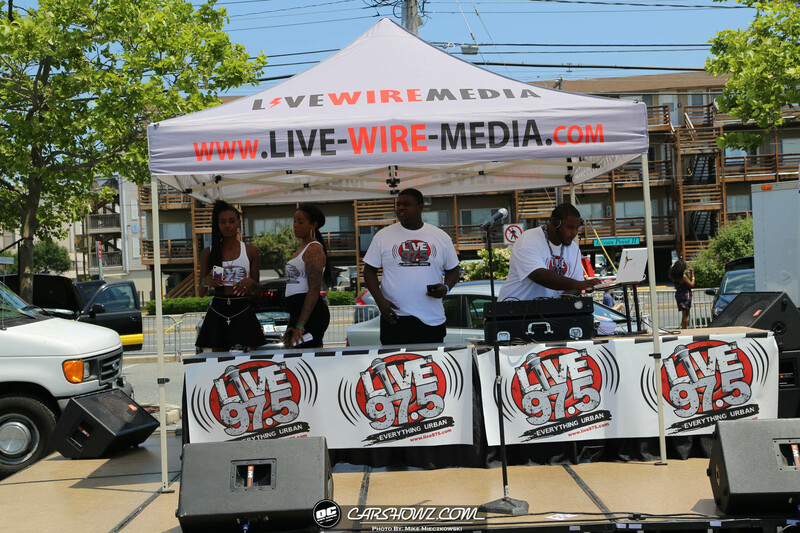 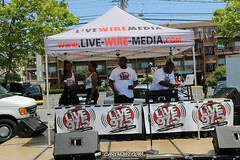 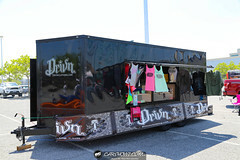 We cannot forget our friends at Drivn Clothing who were also setup all weekend outside. 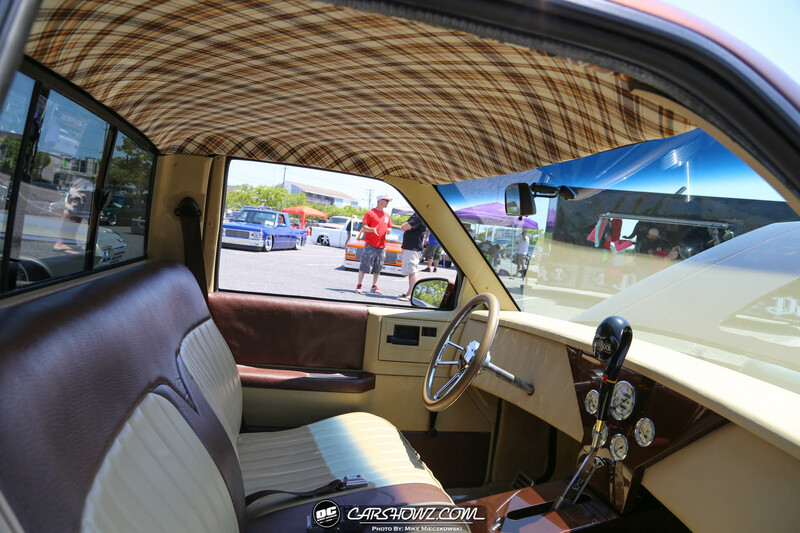 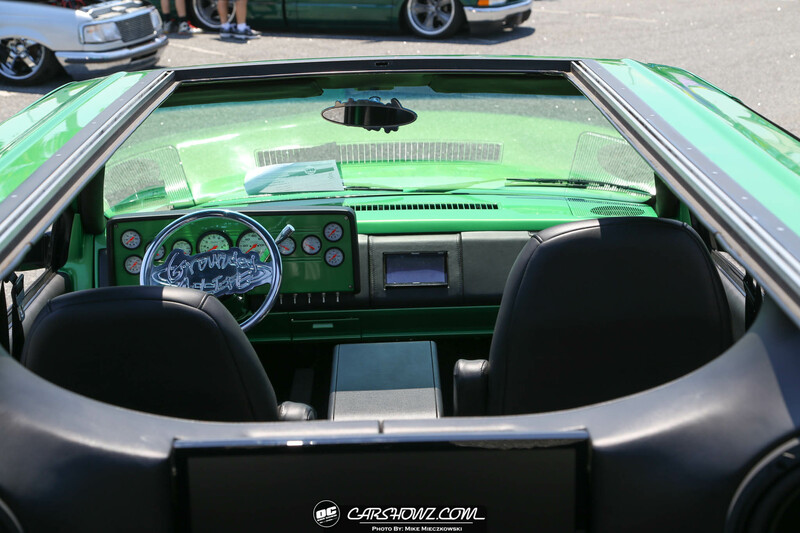 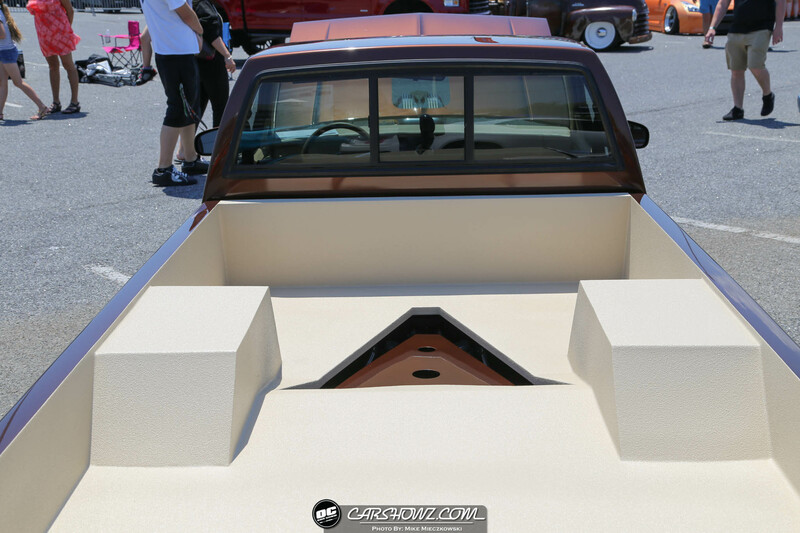 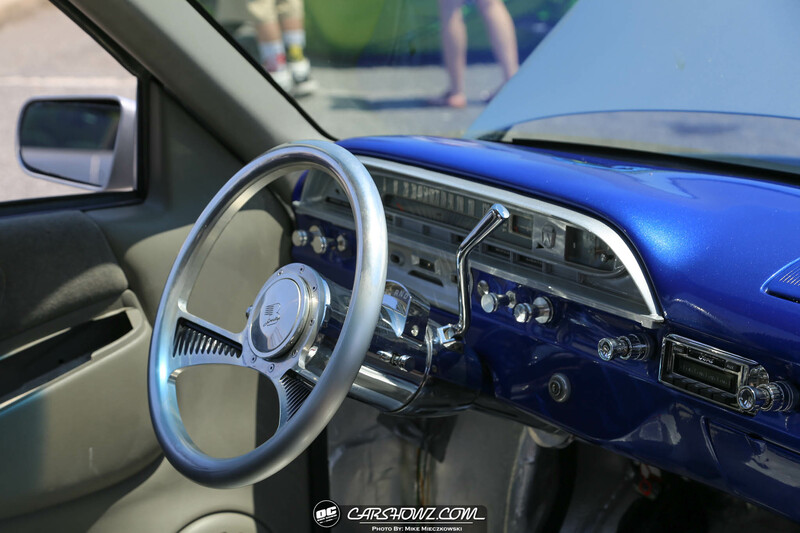 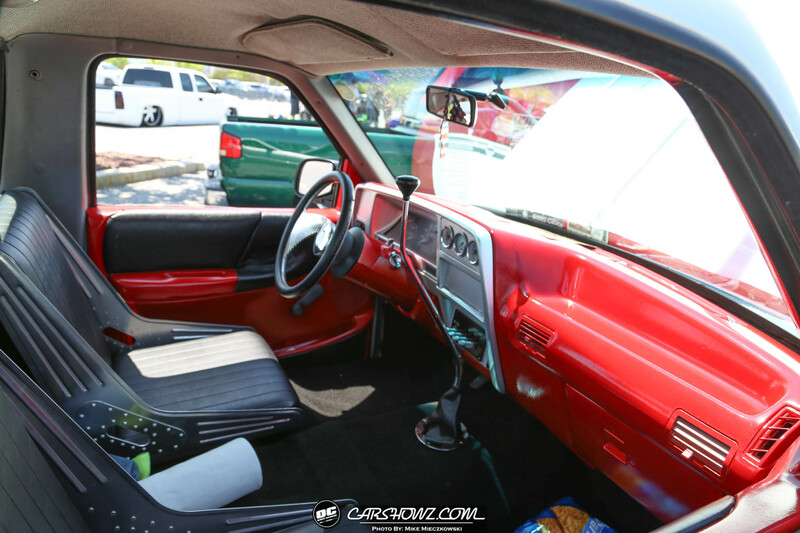 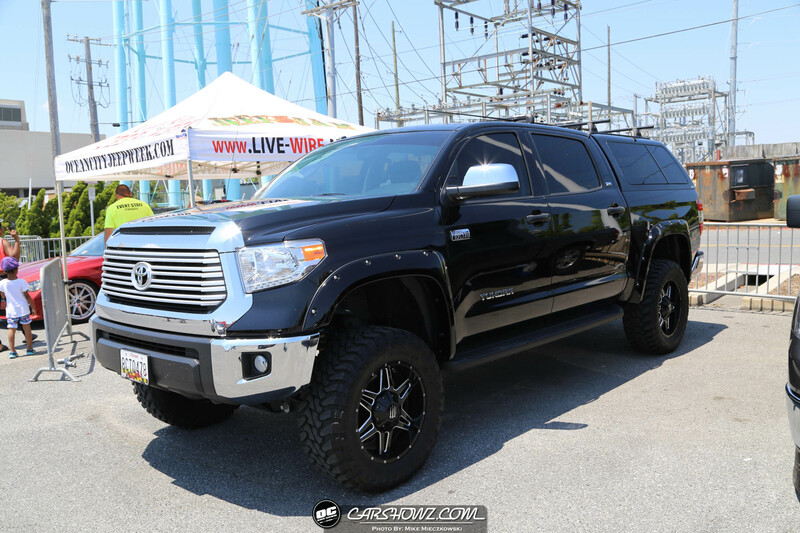 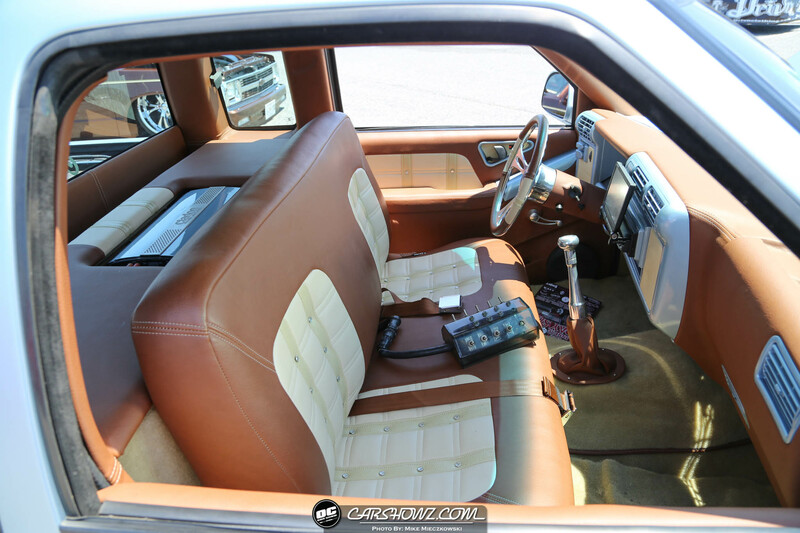 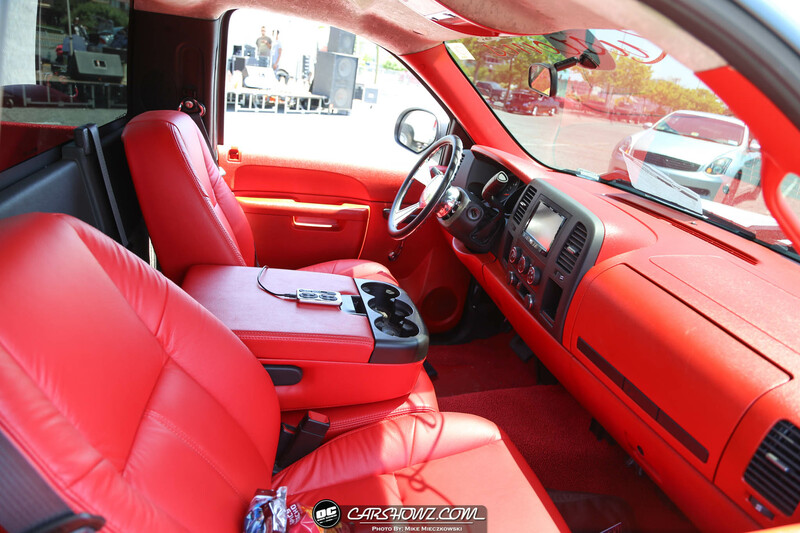 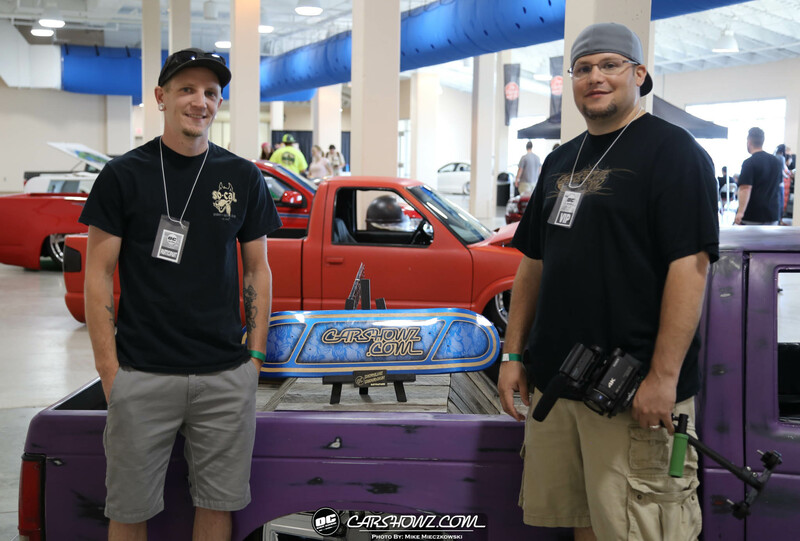 The CarShowz Crew rolled into the OC Car and Truck Show 2017 on Friday morning and we could not have asked for better weather all weekend long. The skies were clear, the sun was bright which made for an excellent weekend at the beach with the family. 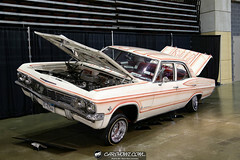 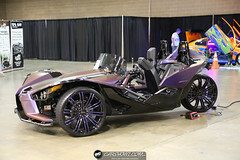 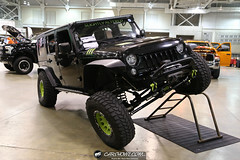 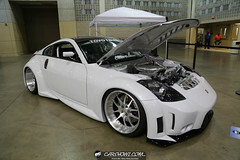 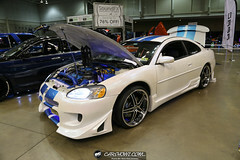 Roll-in for the car show was on Friday, as the custom rides made their way into the convention center. 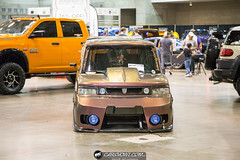 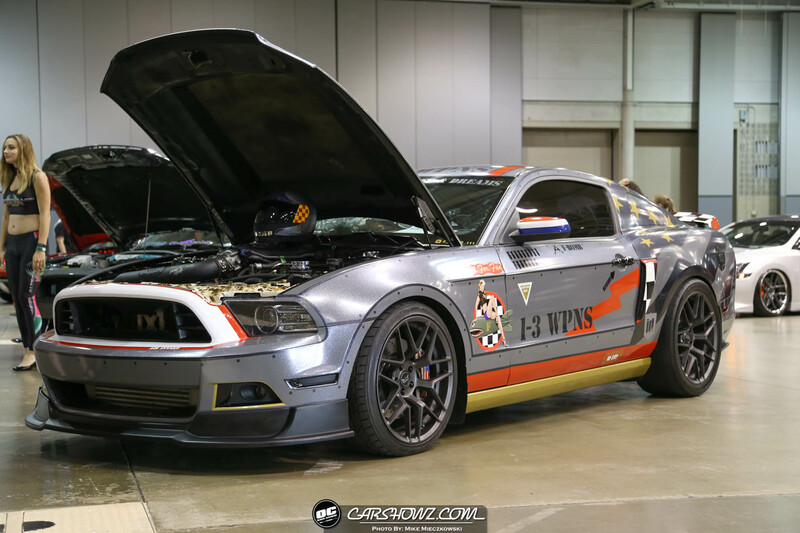 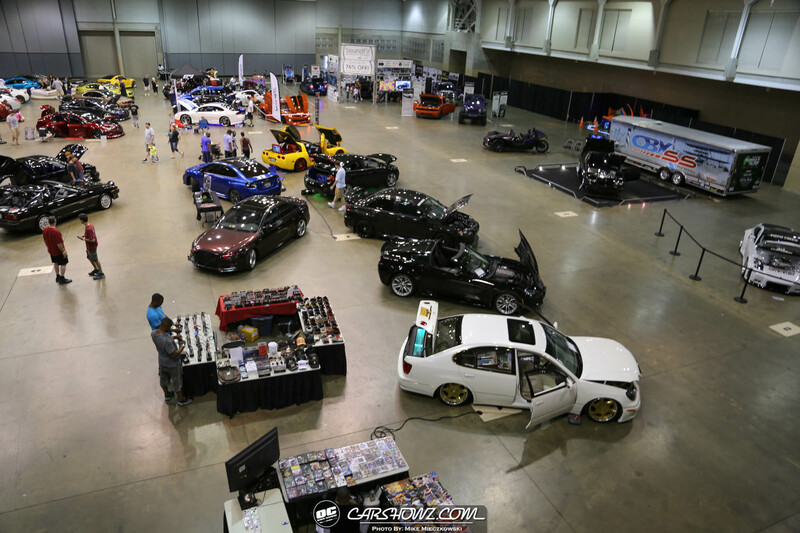 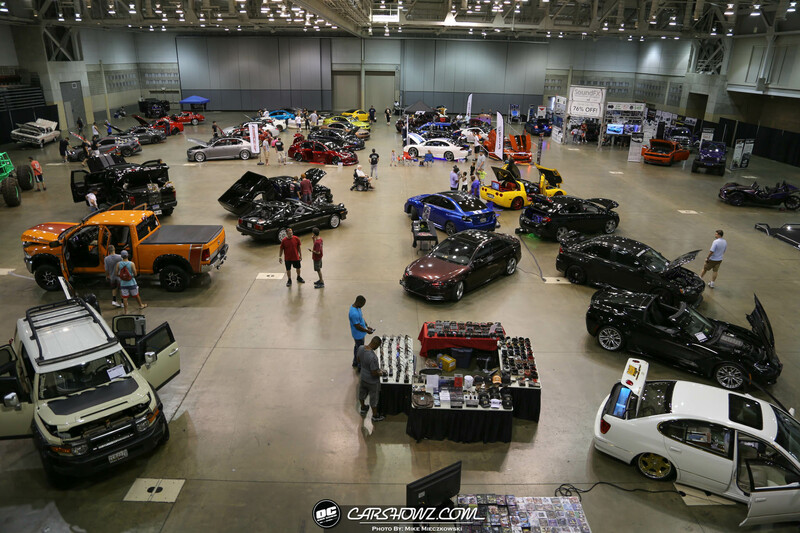 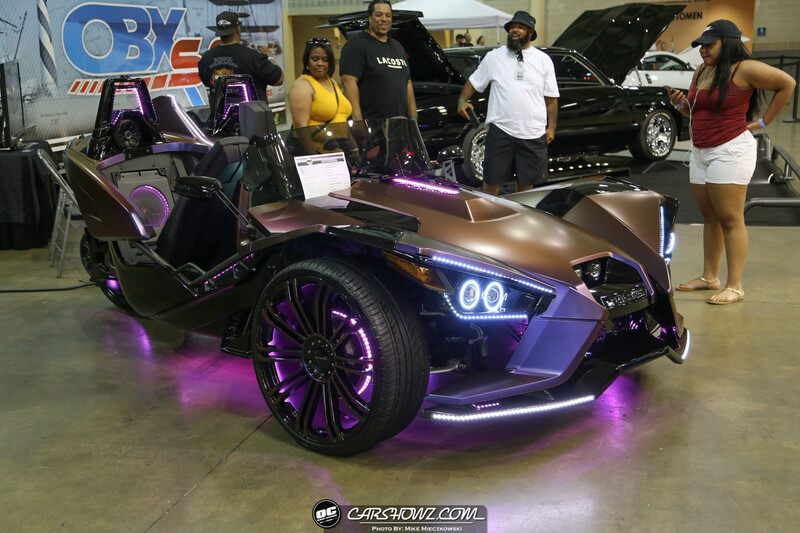 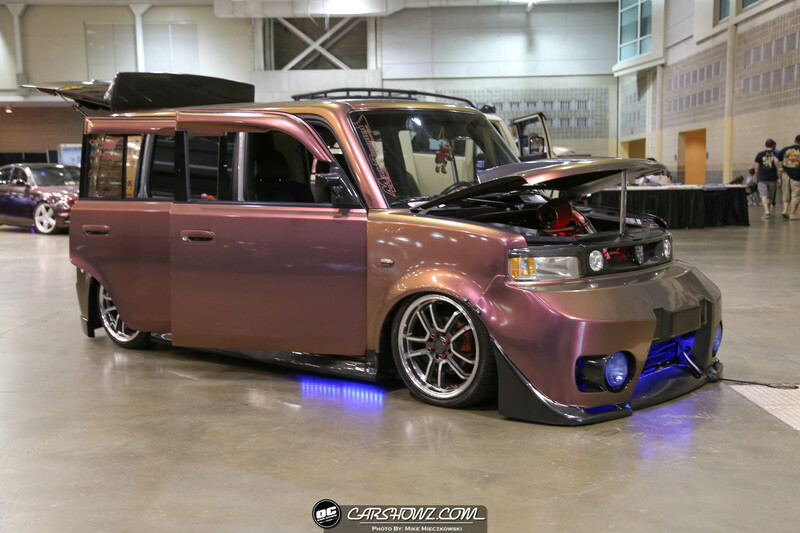 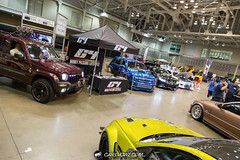 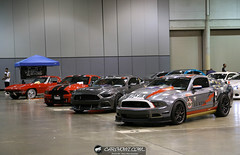 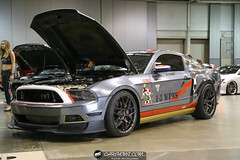 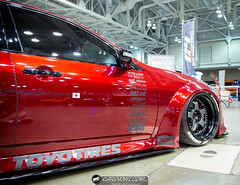 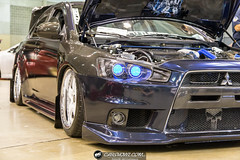 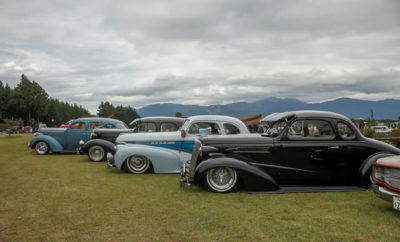 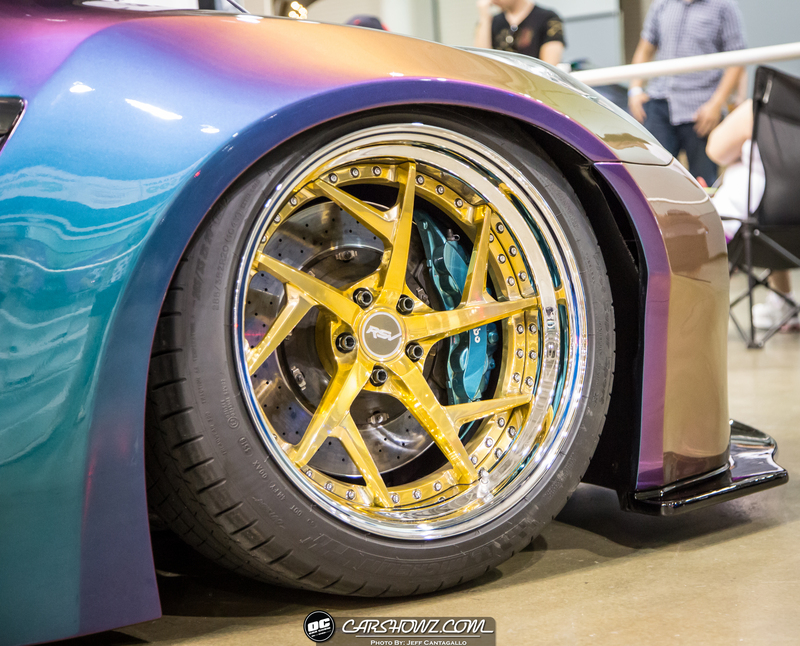 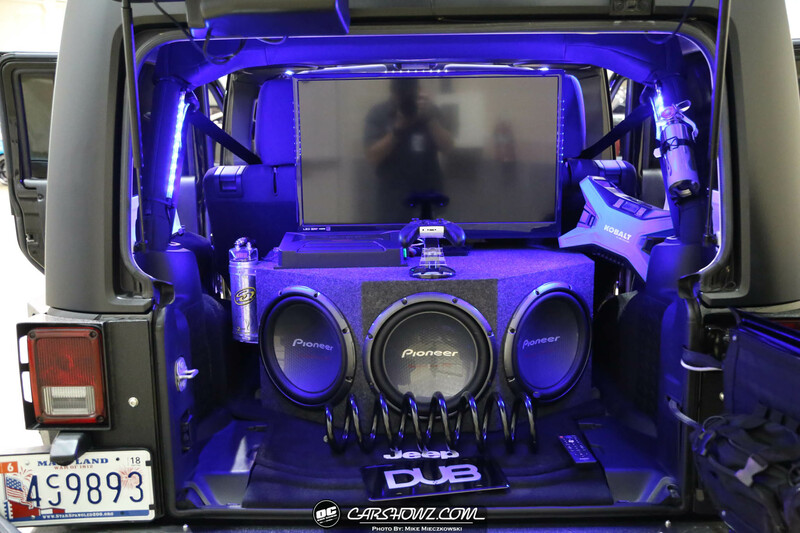 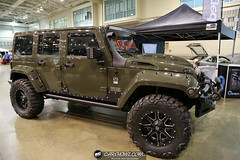 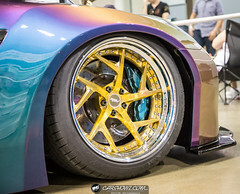 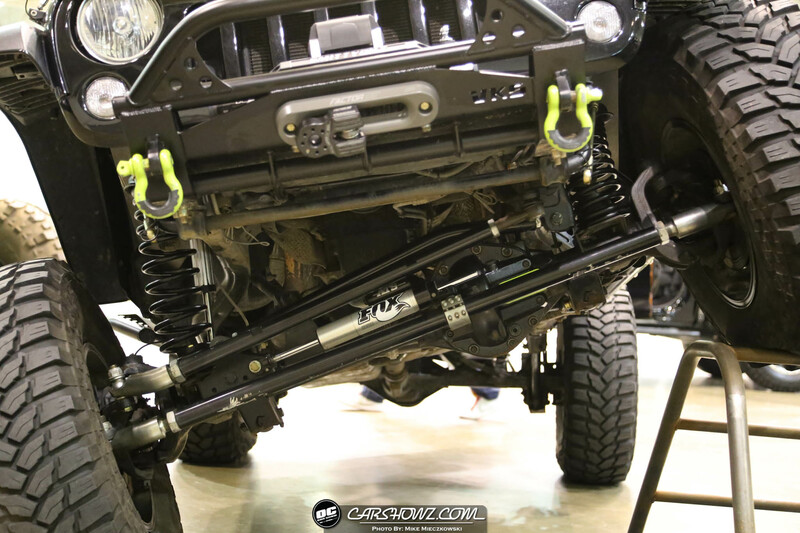 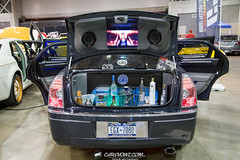 The East Coast Minis and the Low Lifestyle JunkStyles occupied the back hall (bay side) and the main hall was occupied primarily by Timeless Motor Group, C4 Car Club, Auto Performance Aesthetics Centre, Sound FX, among other vendors and car show participants. 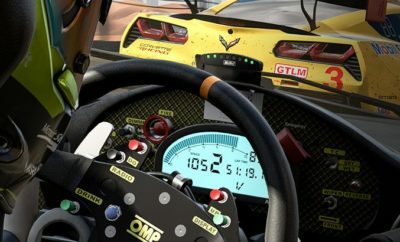 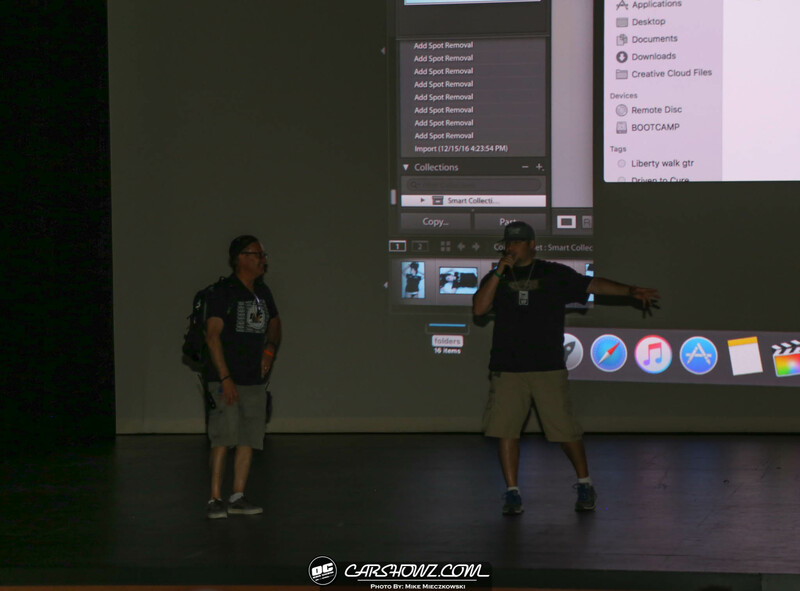 This year, Live Wire Media / Car Show Promoter Brad Hoffman had implemented one of his ideas to take advantage of the Rowland E. Powell’s Performing Arts Center and host the first ever Car Culture Film Festival. 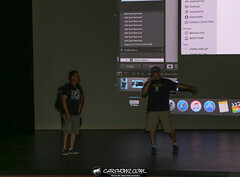 Videographers were invited to present their video on the big screen inside the theater of the convention center Saturday evening. 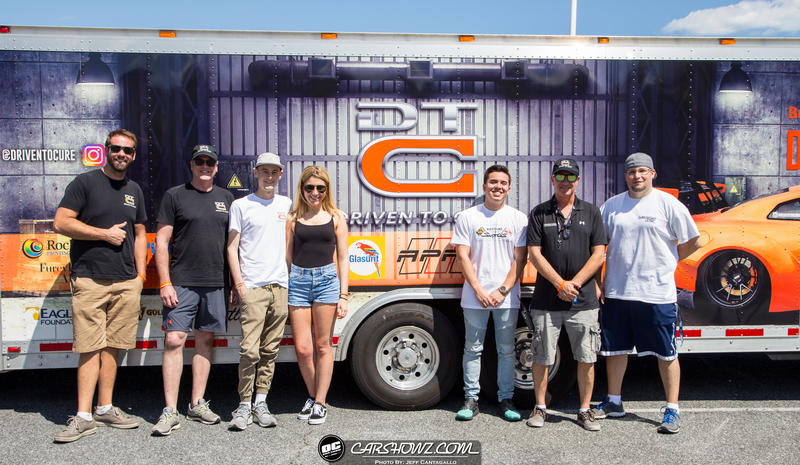 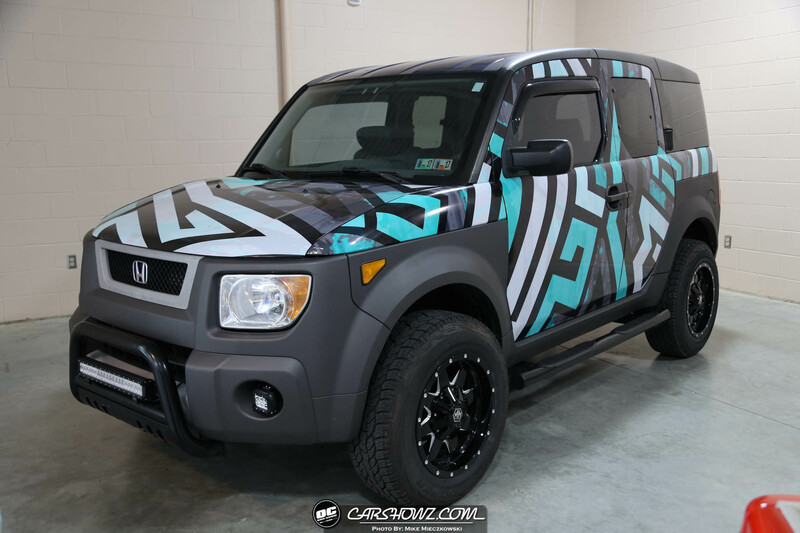 This kicked off a collaboration between ECM and CarShowz and gave us an opportunity to present the Minitrucker Lifestyle video to be debuted at the show. 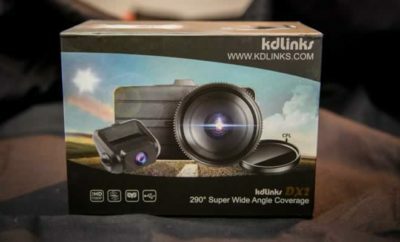 Now mind you I am not a film major nor am I a videographer, which means I need to step up my game quick, fast and in a hurry. 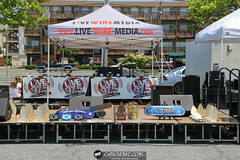 I had a vision in my mind since last year, to capture the story of events and builds via video. 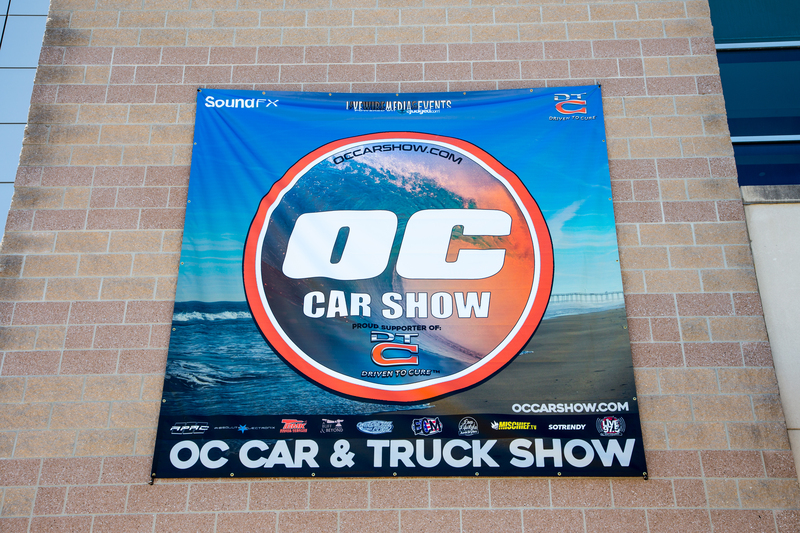 As I am slowly adding additional video gear to my tool box, this video for ECM and the OC Car and Truck Show 2017 was my opportunity to get my feet wet with producing videos. 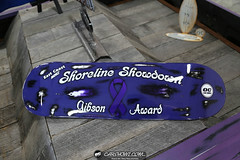 For some time now, I’ve wanted to put together a Choice Award to award builders throughout the season at the events we attend. Michael Milligan and Ben Parks jumped in last minute to custom paint a skate deck for the Shoreline Showdown / OC Car and Truck Show 2017 Sunday. The deck came out great and we were excited to award it to someone. 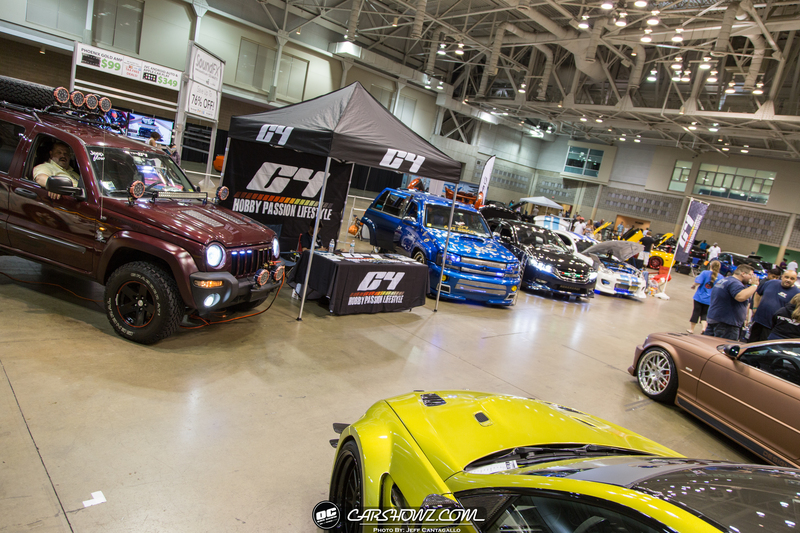 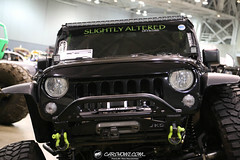 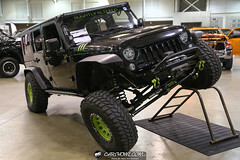 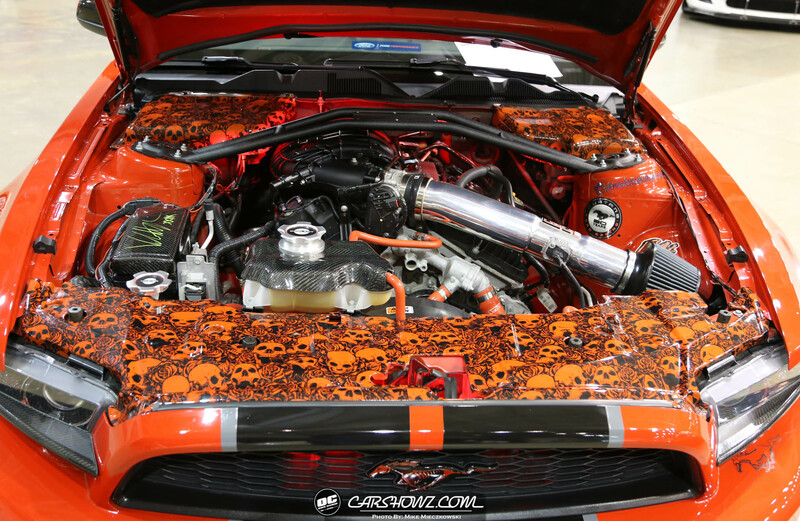 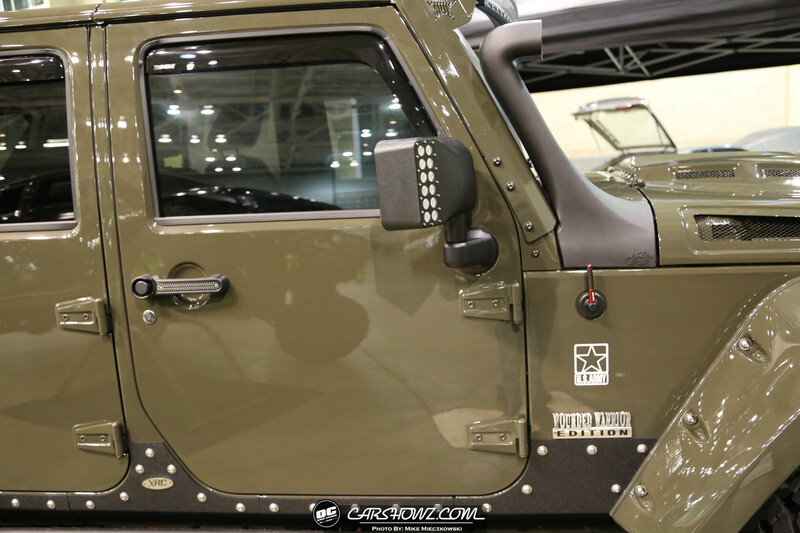 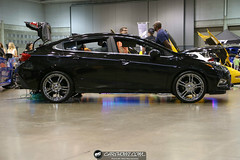 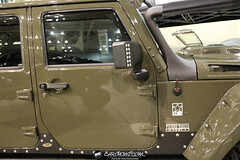 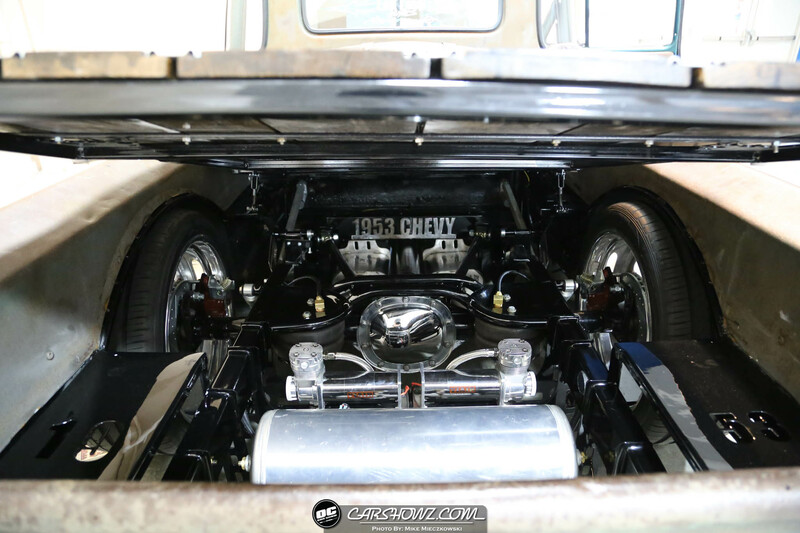 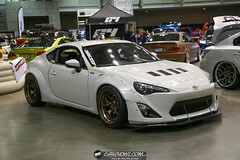 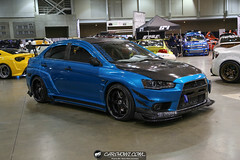 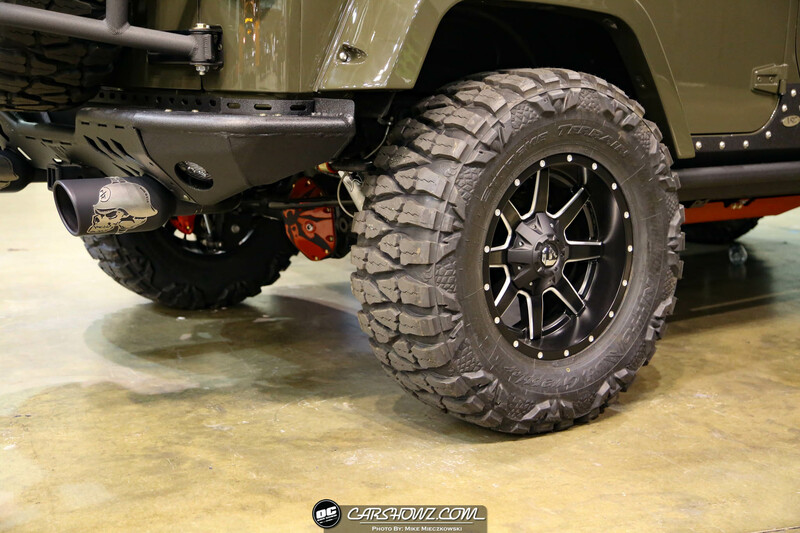 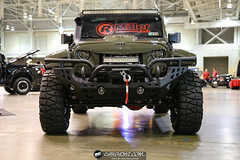 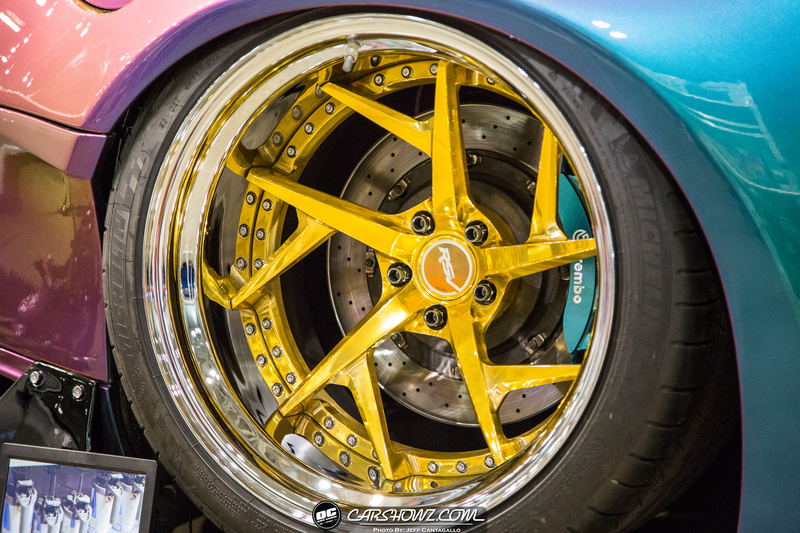 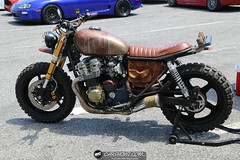 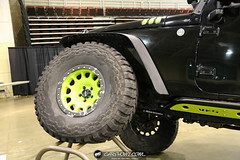 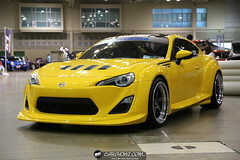 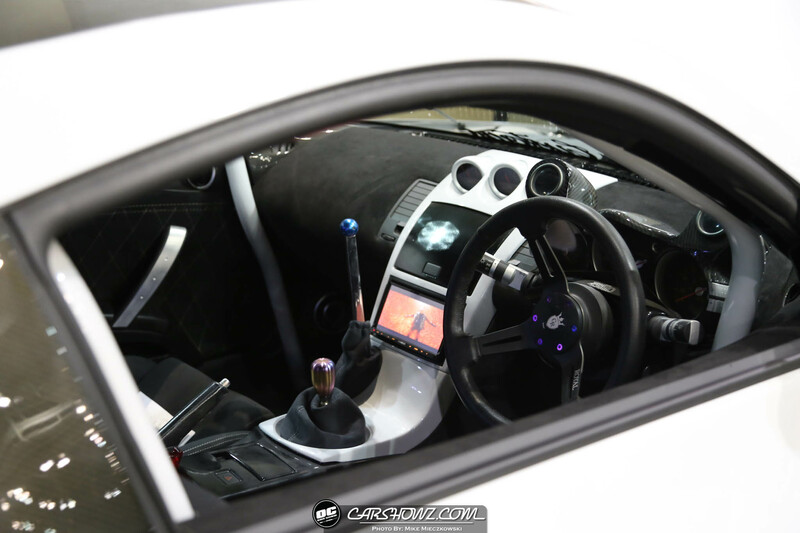 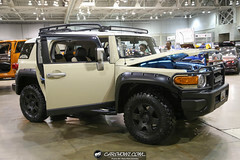 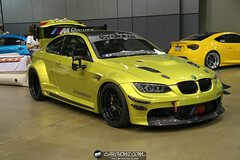 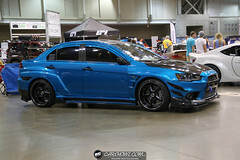 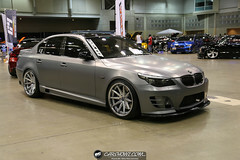 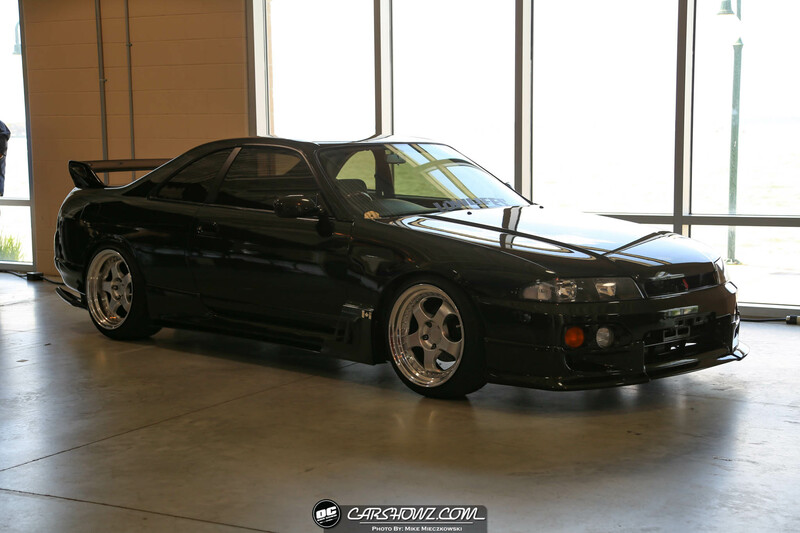 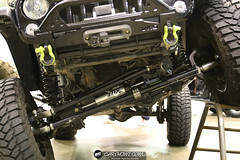 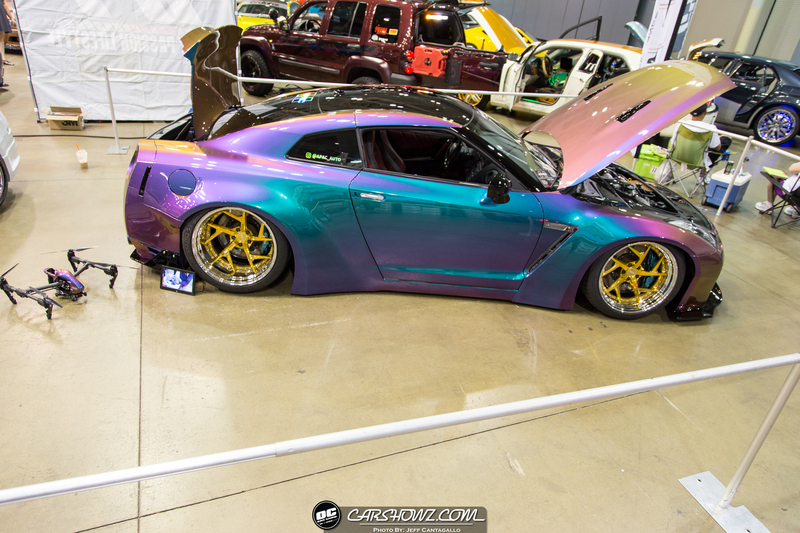 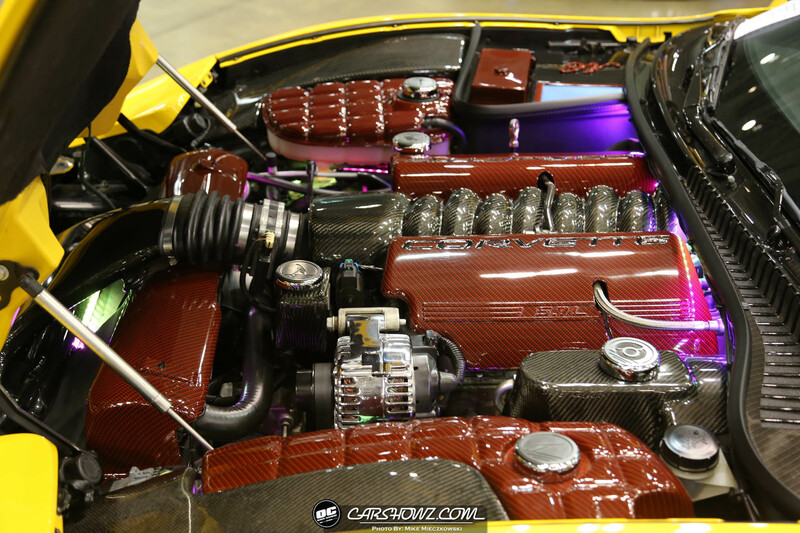 It was a very tough choice as there were a lot of nicely executed builds at the show. 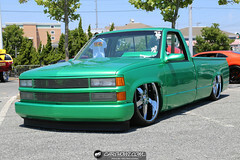 Austin Landon’s truck stood out to us from the beginning, before we actually hit the show parking lot actually. 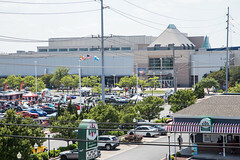 We were staying at the condo across the street from the convention center. 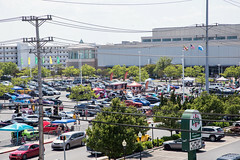 As the family was getting ready to walk over to the show, Mike Mieczkowski and myself were looking out of the window from the condo over to the convention center parking lot. Right away Mike said, “the brown one.” I said, “What?! 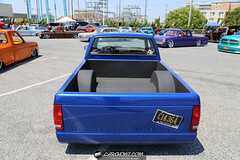 How can you tell?” The S10 was sitting behind a few tree, plus we couldn’t see what else was in the show field, it was not fair to make a decision without seeing the rest of the vehicles. 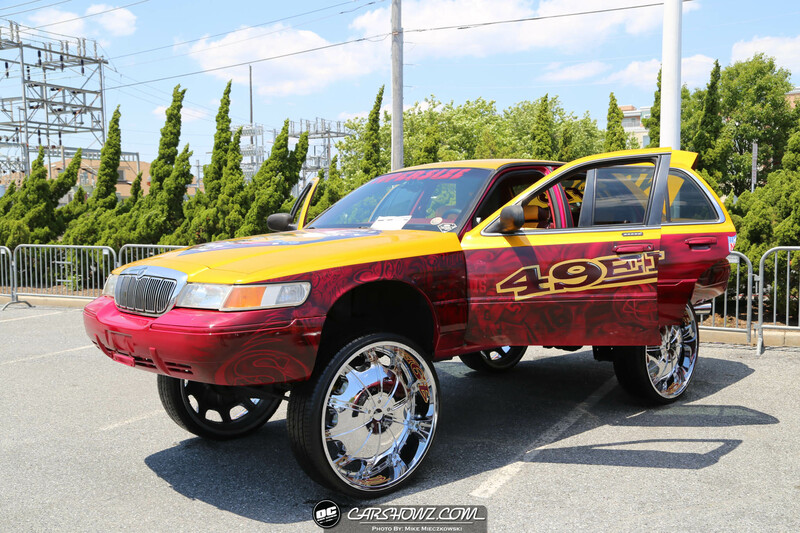 Well low and behold, hands down Austin was our choice. 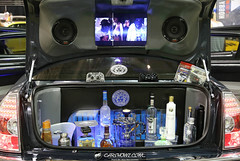 The choice however, was not easy. 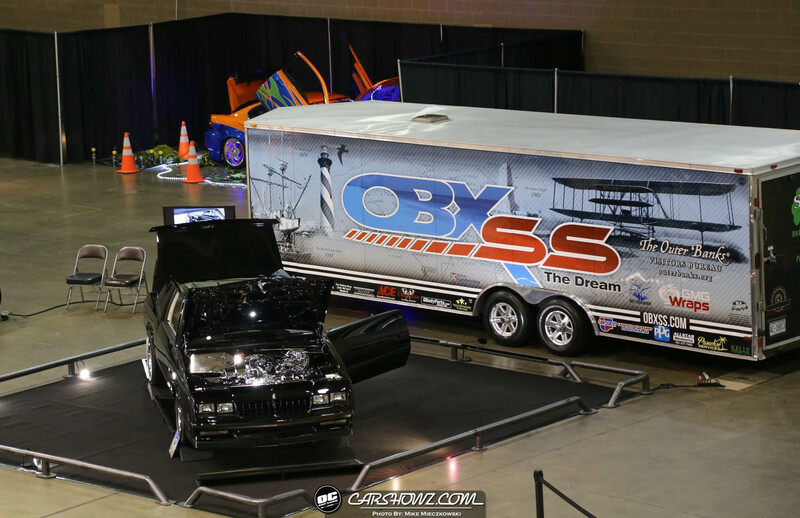 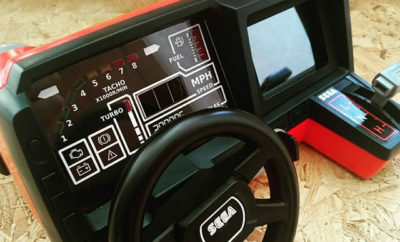 We picked our top 3 trucks and it came down to the wire with each truck. 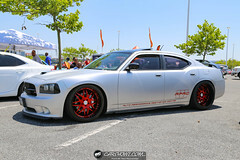 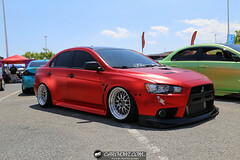 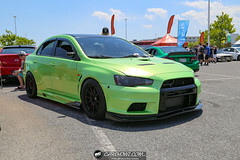 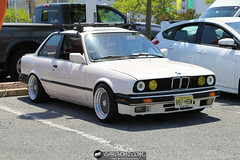 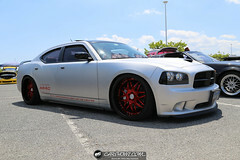 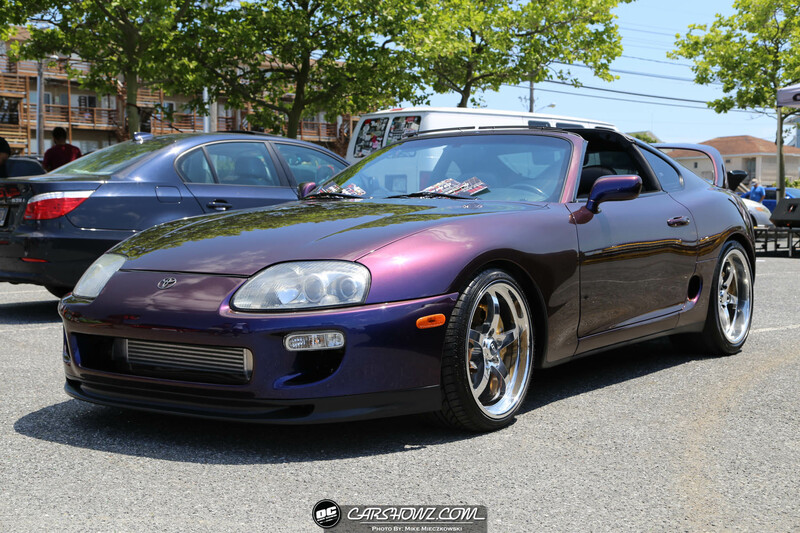 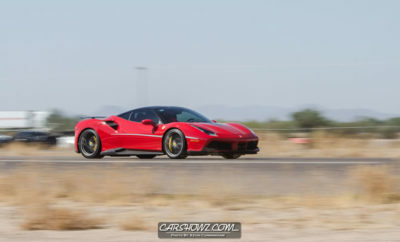 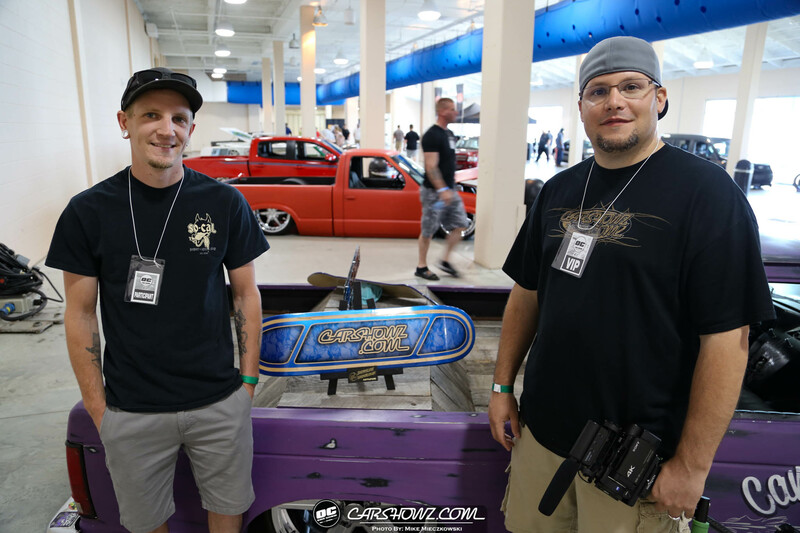 Thankfully Mark Pantalone a long-time Photographer for CarShowz surprised us by driving a little over 3 hours to hangout for the day. 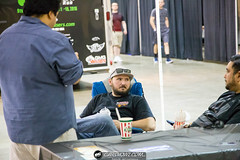 He came just in time to help us pick the Choice Award. 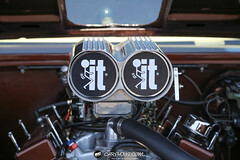 What do we look for? 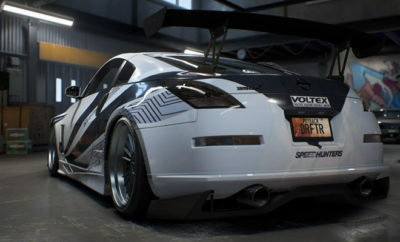 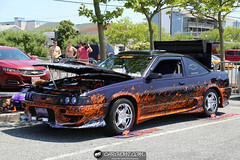 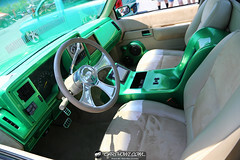 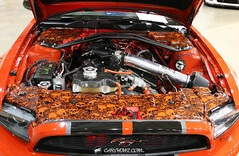 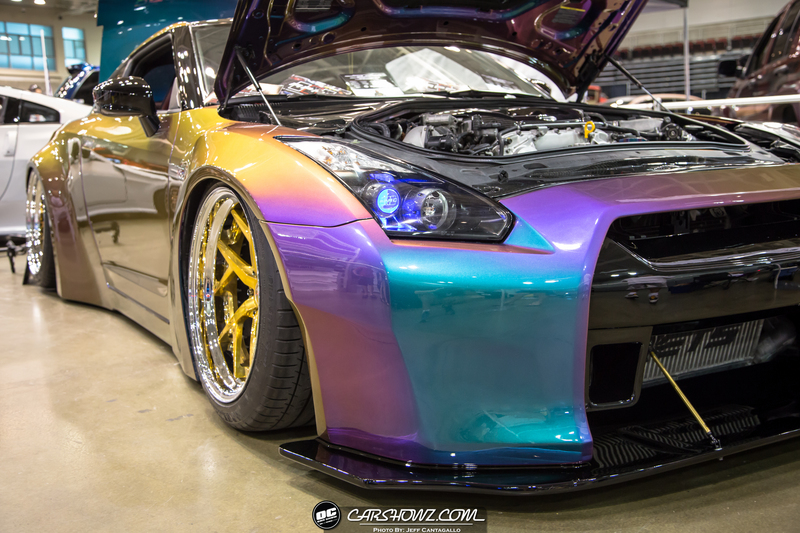 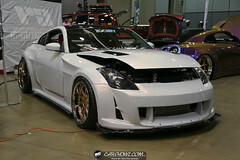 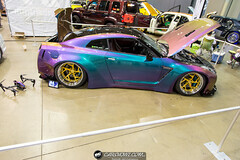 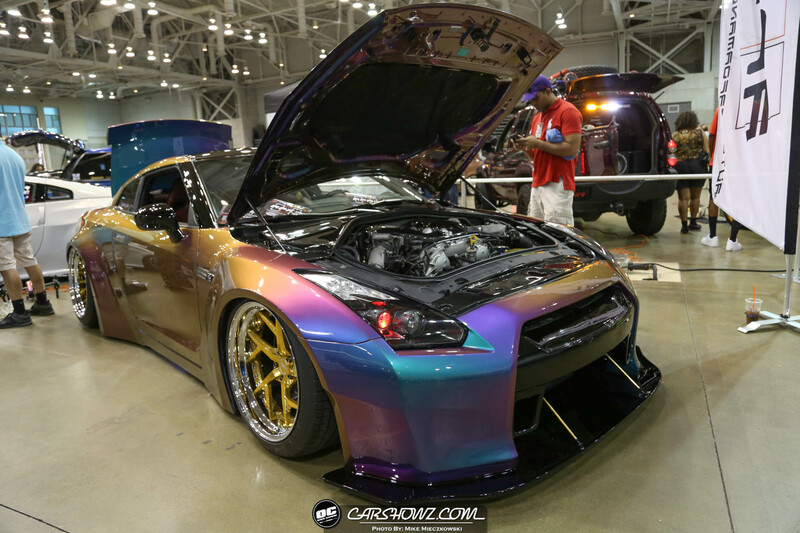 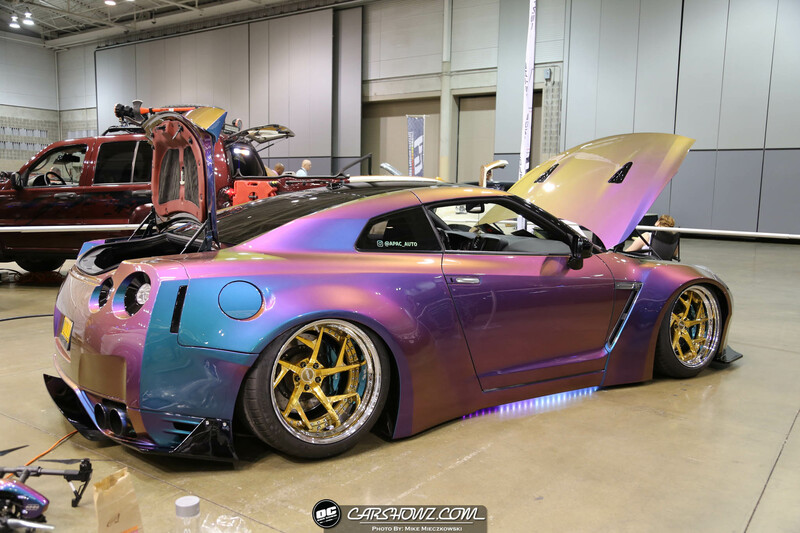 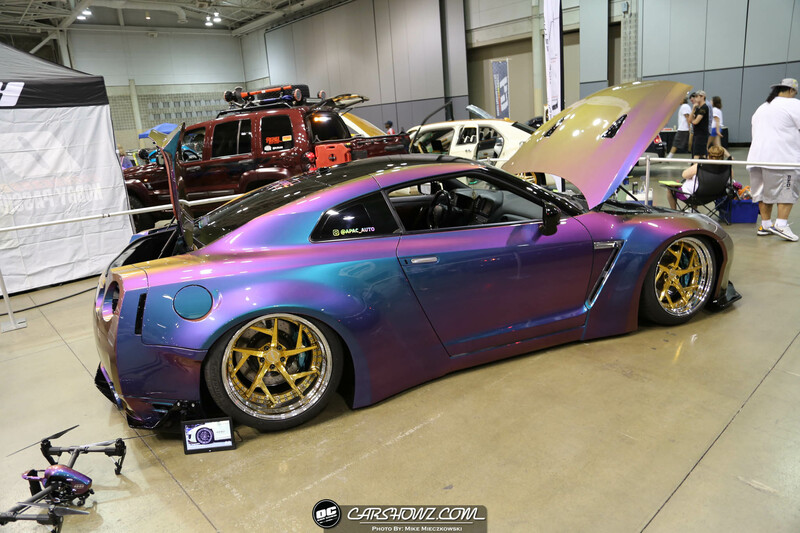 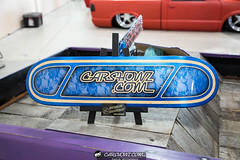 Paint and body finish, the flow and execution of the build (color schemes, fabrication work, etc. 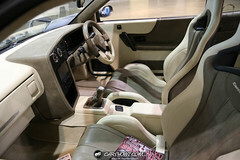 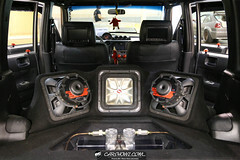 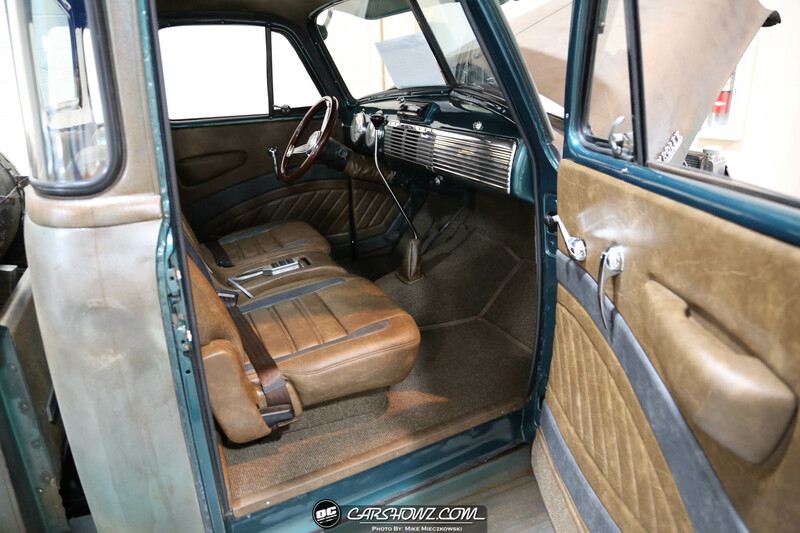 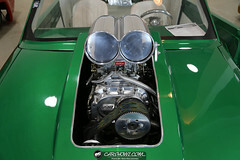 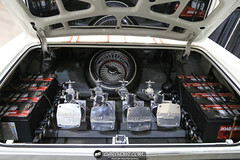 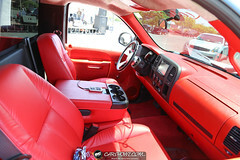 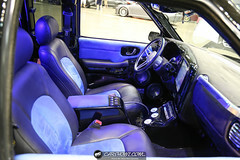 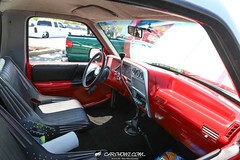 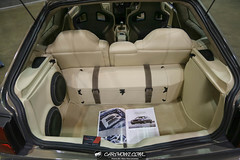 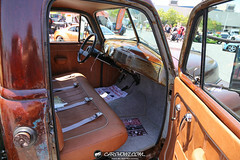 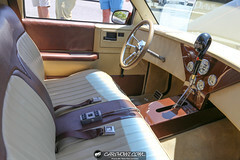 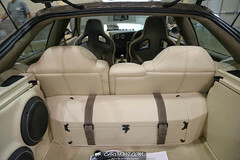 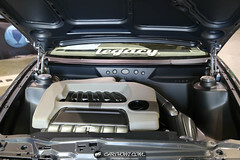 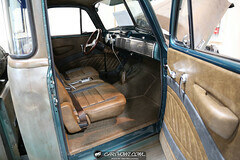 ), interior, engine work, literally from top to bottom we look the vehicle over. 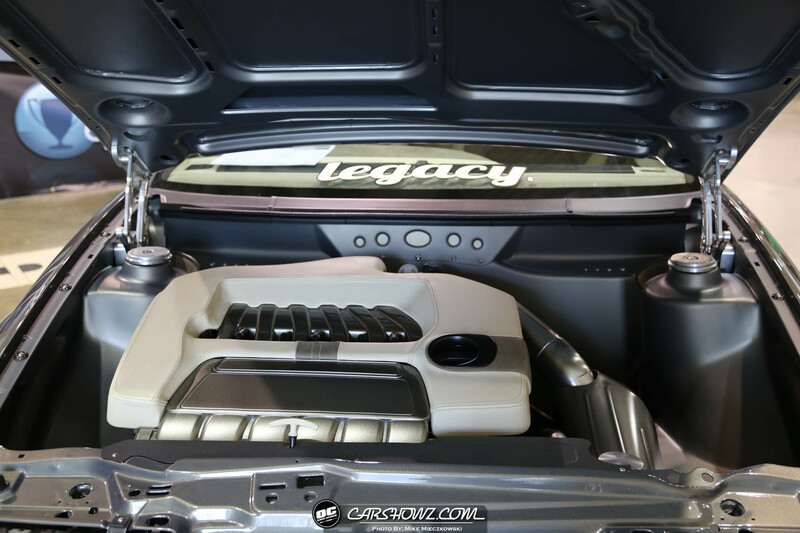 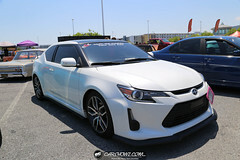 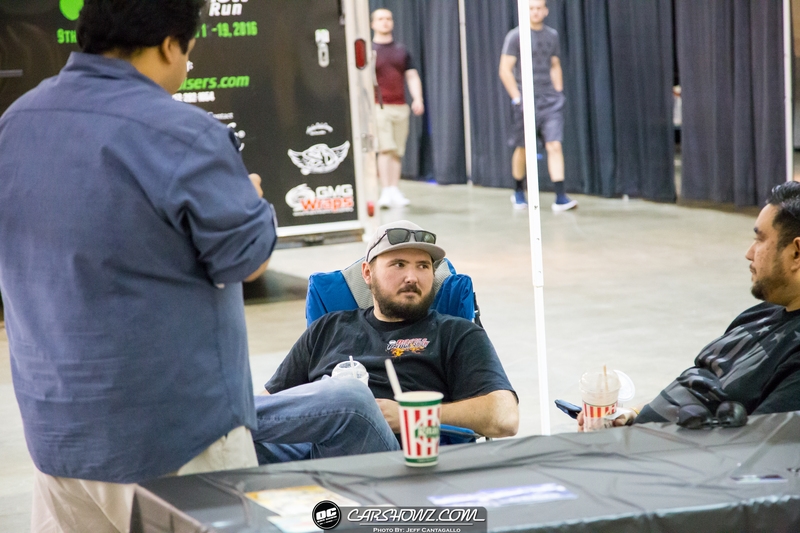 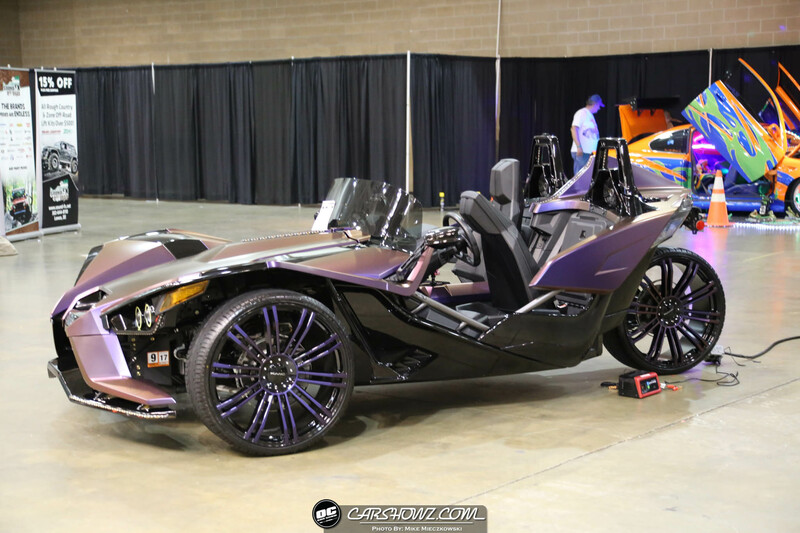 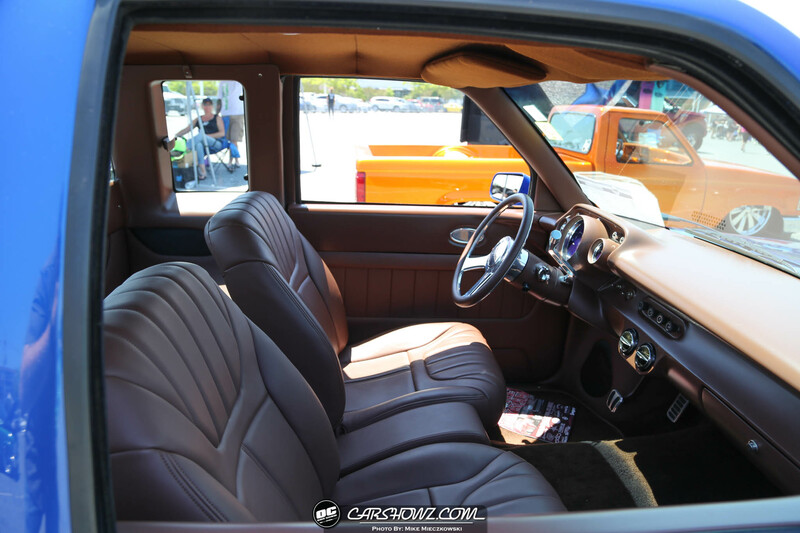 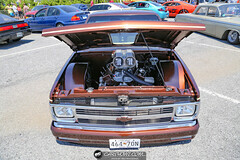 It’s been a few years since the last time I was at the OC Car and Truck Show 2017, I was excited to attend again to see new builds and what people have done to change their builds from my prior attendance. 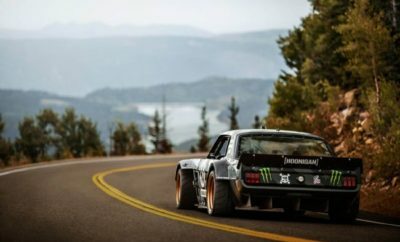 I always liked this show because, it is known for the quality of builds as well as the location. 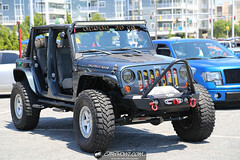 Who doesn’t like going to Ocean City, Maryland on a hot late Spring weekend? 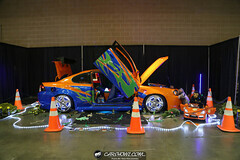 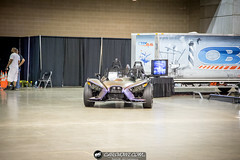 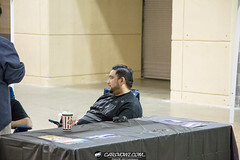 As in previous years the show was split with an indoor event that lasted all weekend and outdoor events as well. 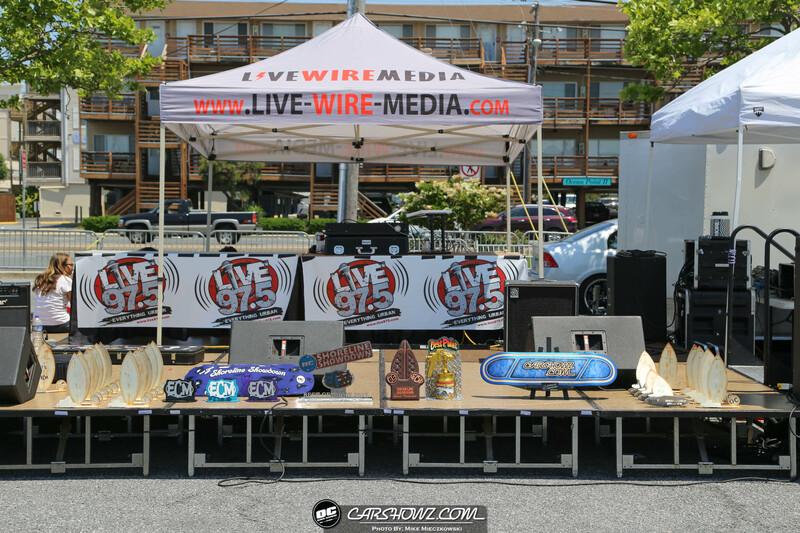 The show may not have been as big as past events but, the quality was there. 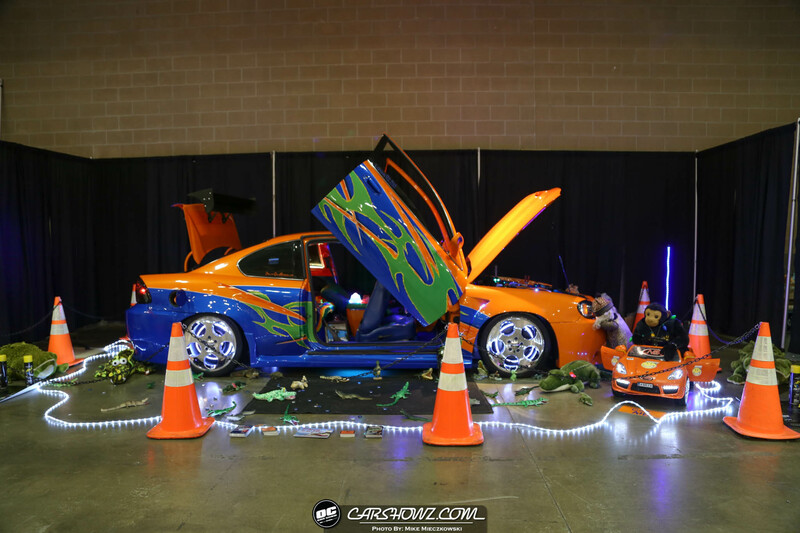 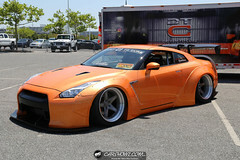 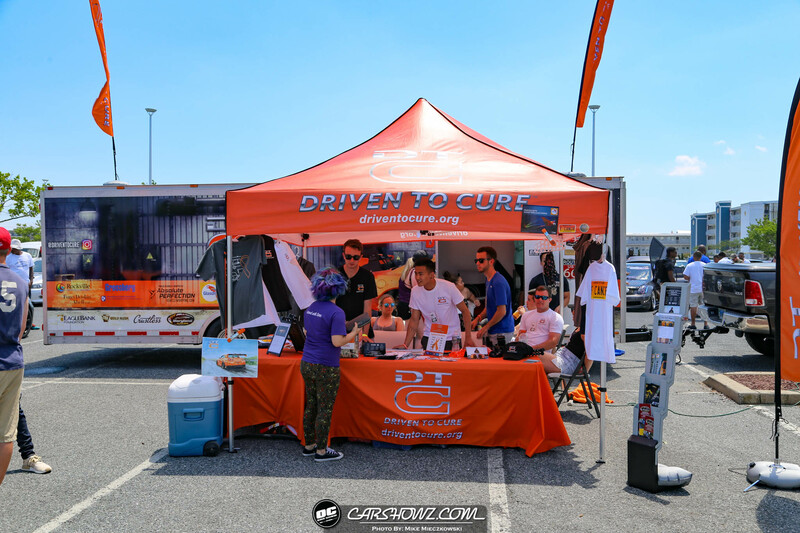 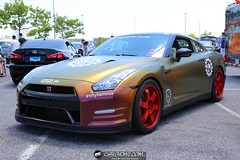 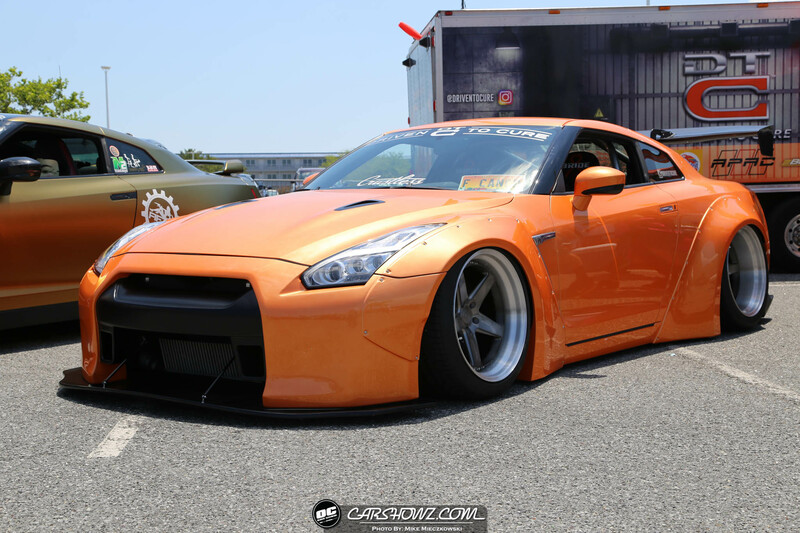 It was great to see Driven to Cure with their custom orange GTR in the outside lot where that portion of the show went to benefit helping to find a cure for rare kidney cancer. 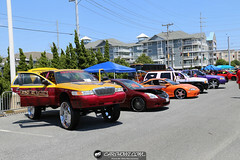 Since we were in Ocean City we took advantage of the boardwalk and Assateague Island. 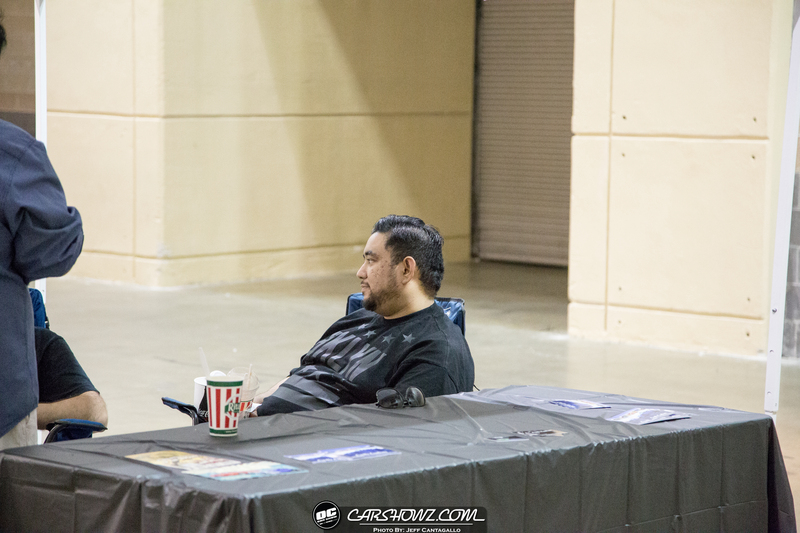 It was a nice break from other weekend long events that don’t have much going on before and after the show. 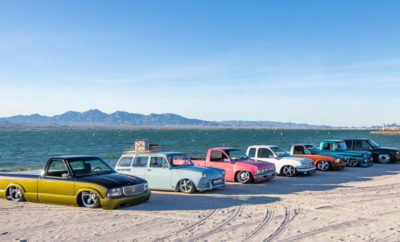 The beach and other amenities make it a vacation weekend type of show which was something that makes it an event to look forward to year after year. 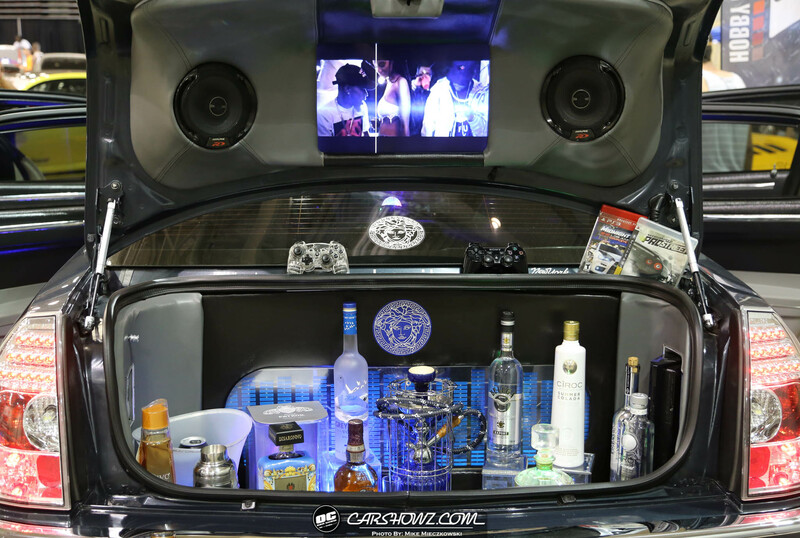 After show hours on Saturday we were happy to attend the 1st Annual Car Culture Film Festival benefiting Driven to Cure Organization. 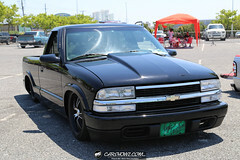 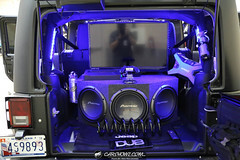 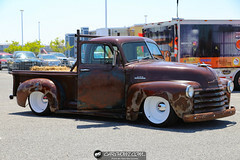 Jeff did an amazing job on the video representing CarShowz.com with “What does mintruckin mean to you?” There were other presenters from major media channels that made for a great event with different views of the Car Culture. 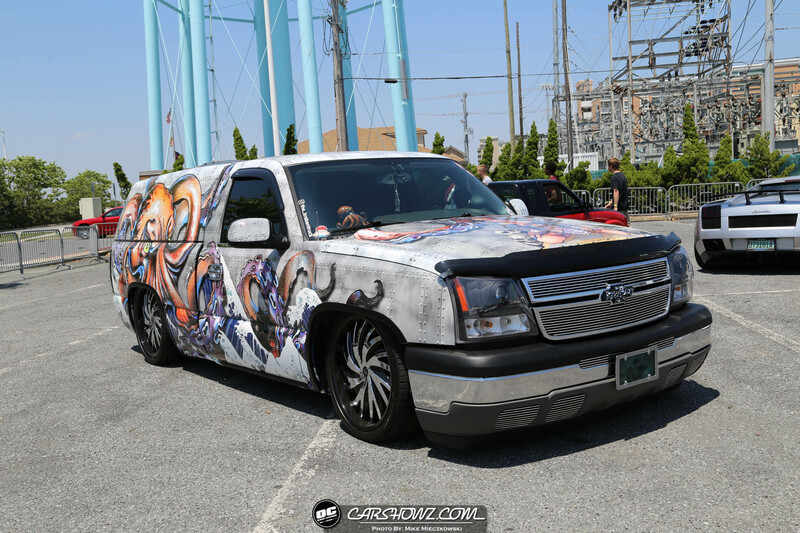 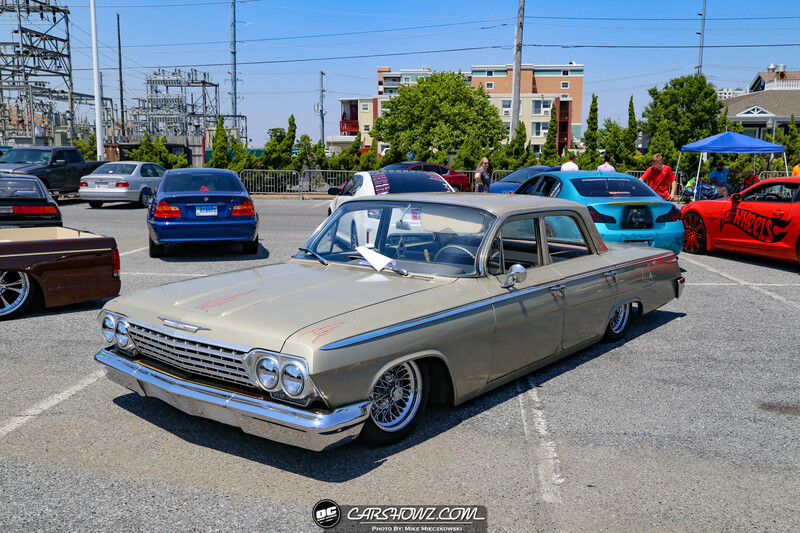 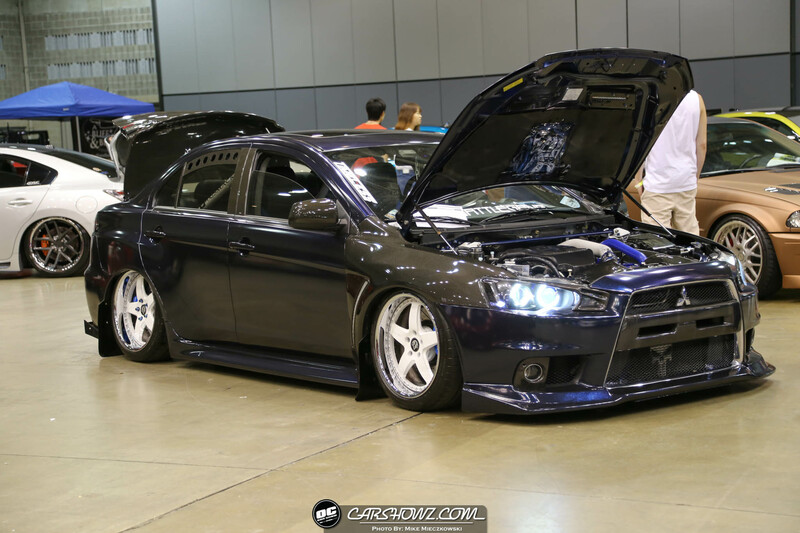 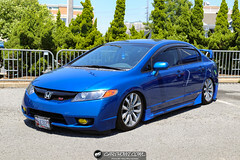 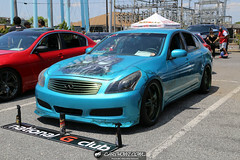 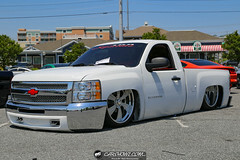 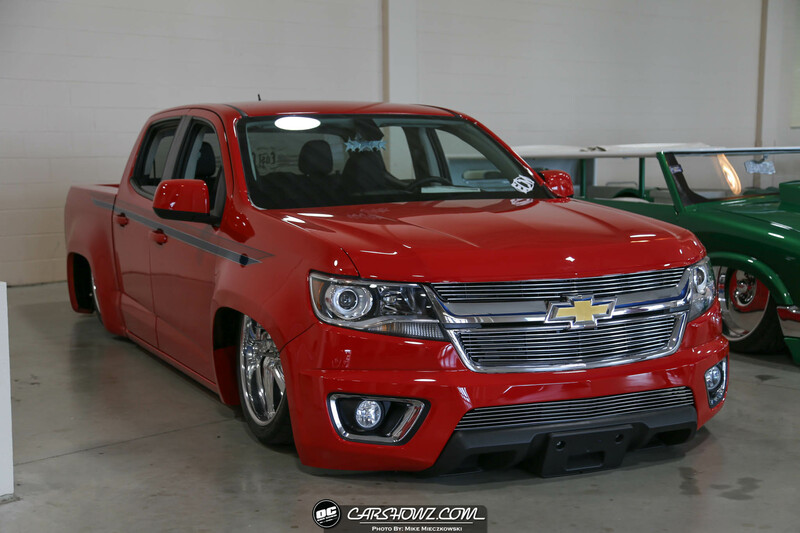 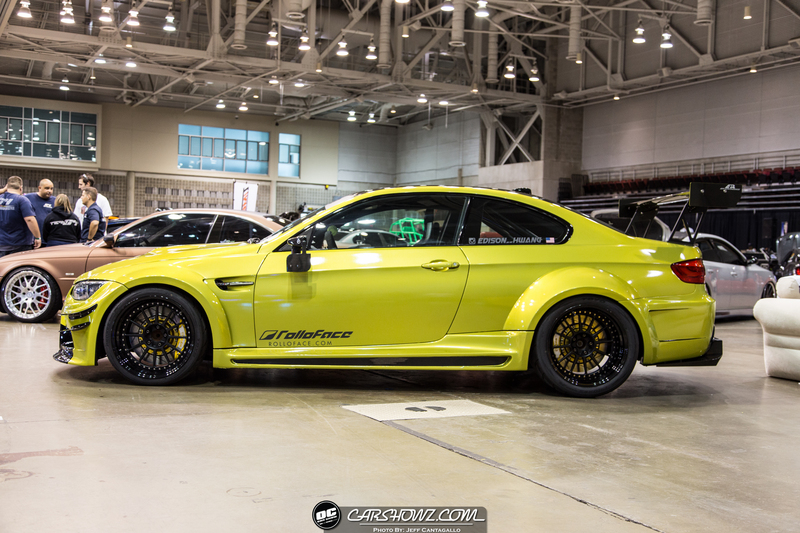 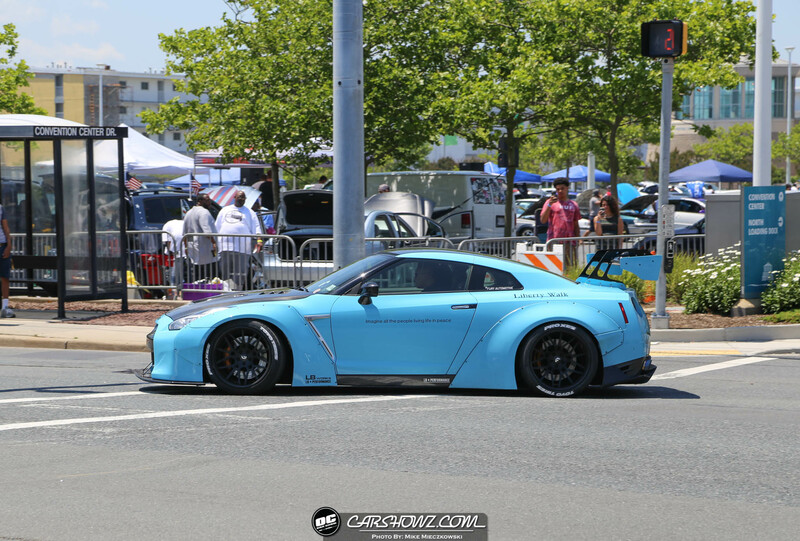 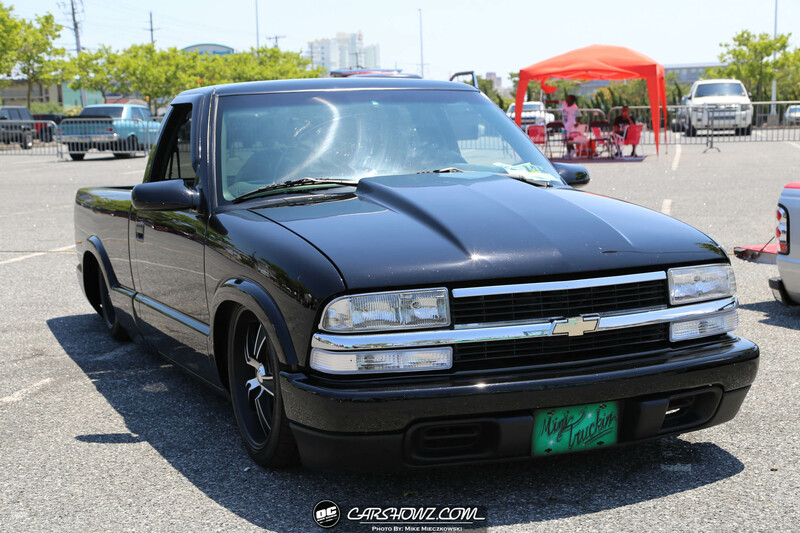 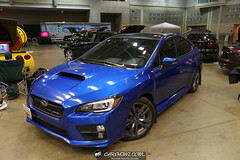 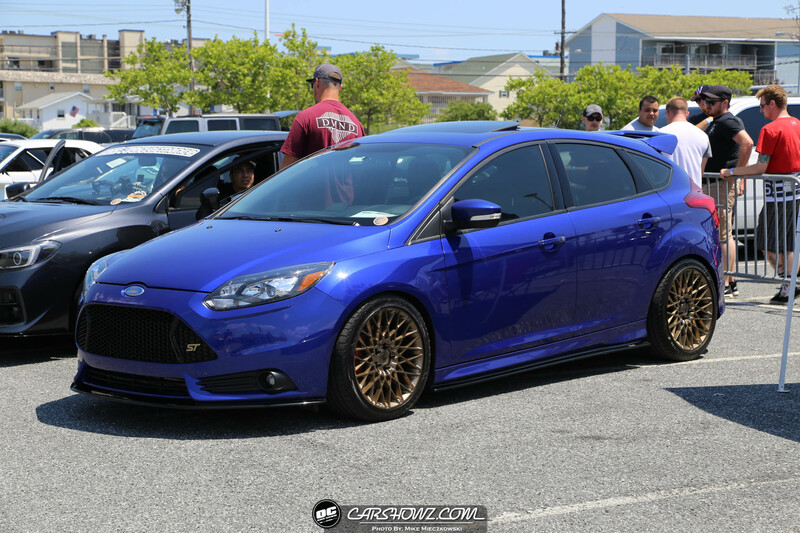 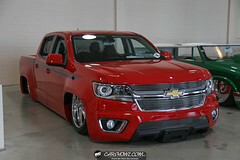 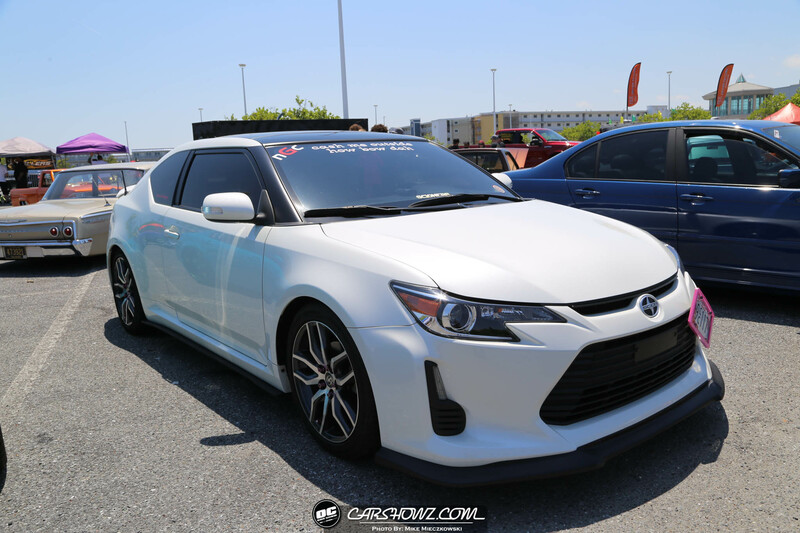 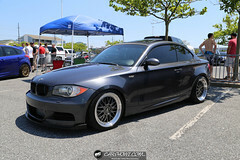 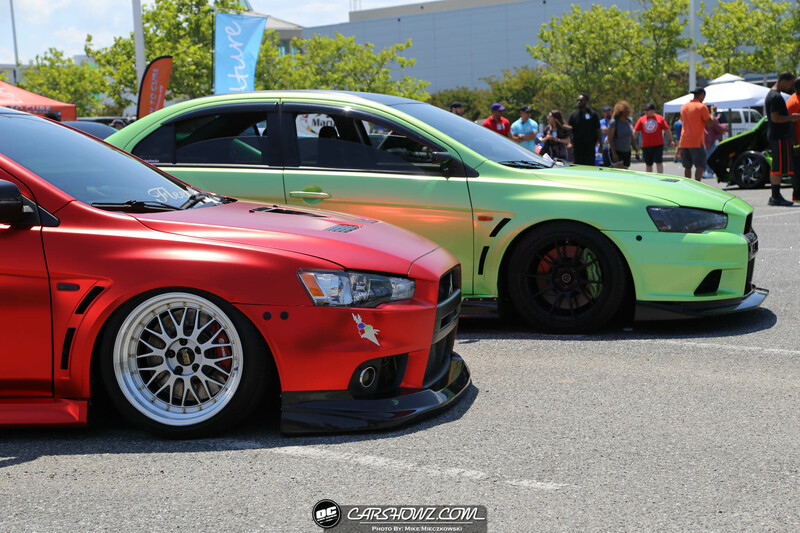 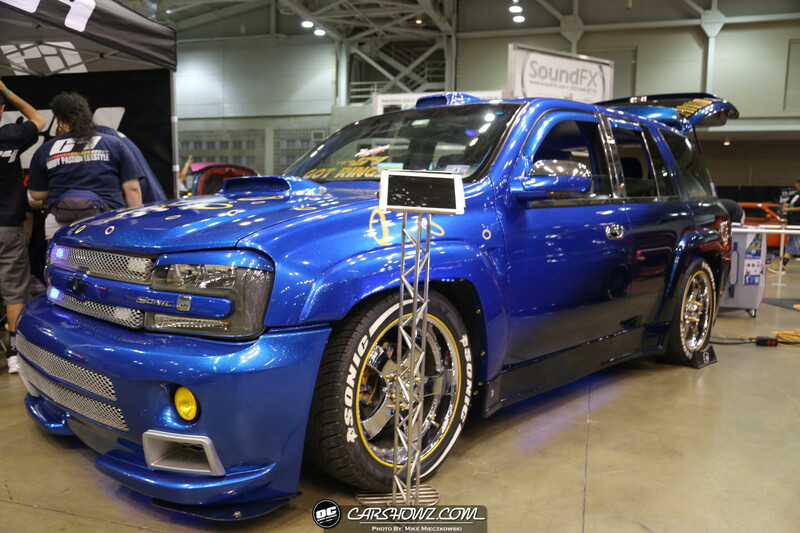 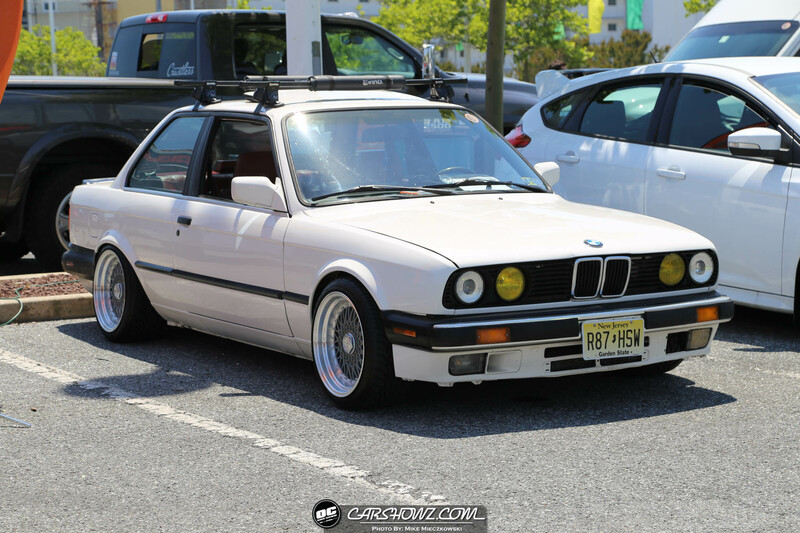 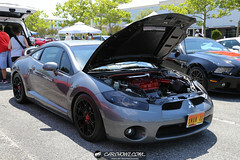 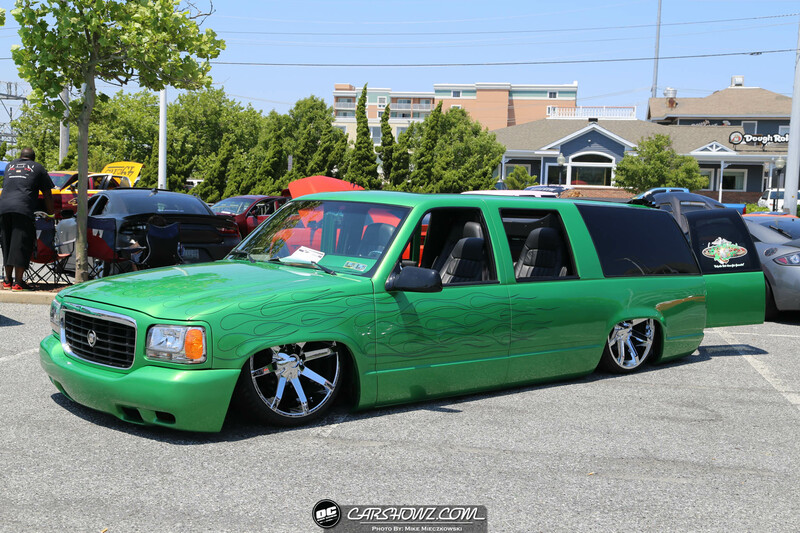 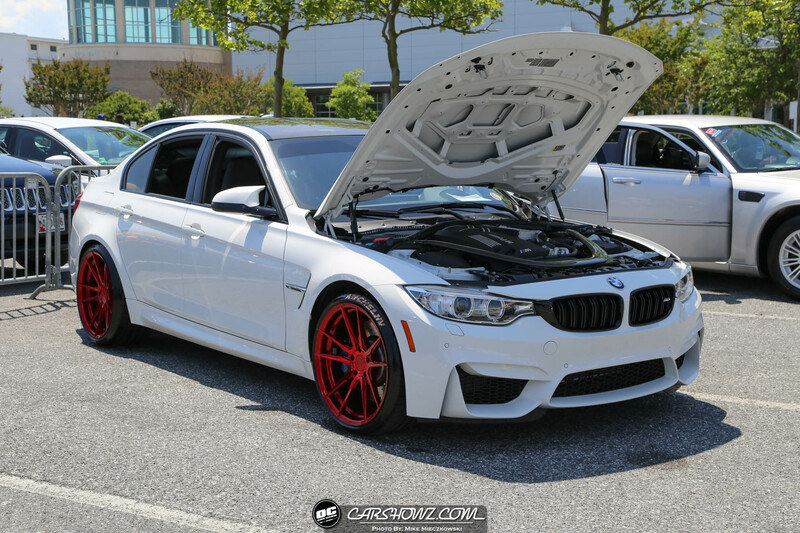 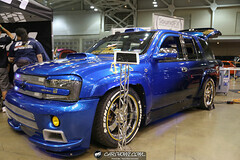 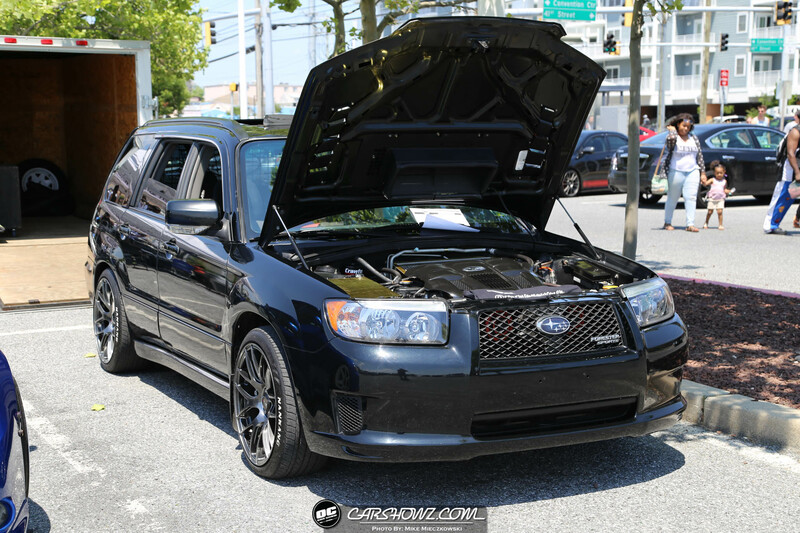 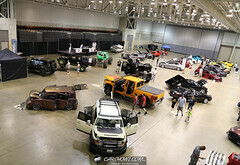 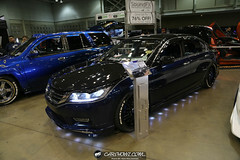 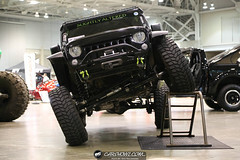 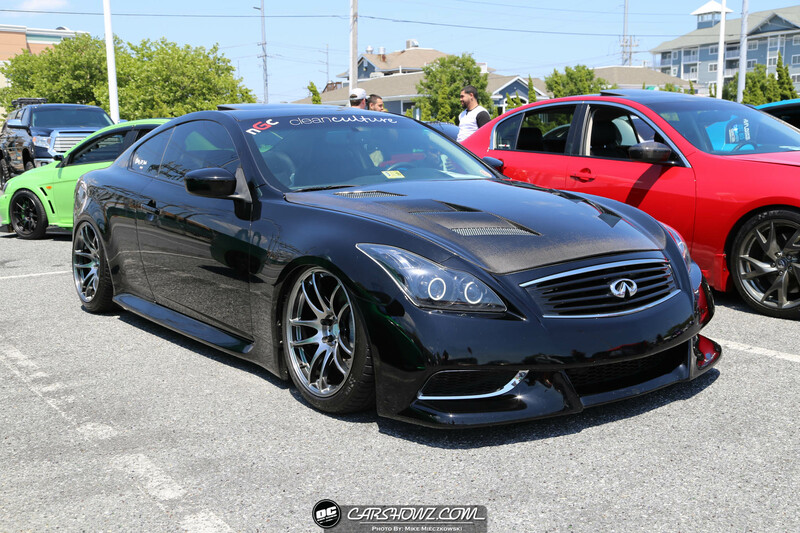 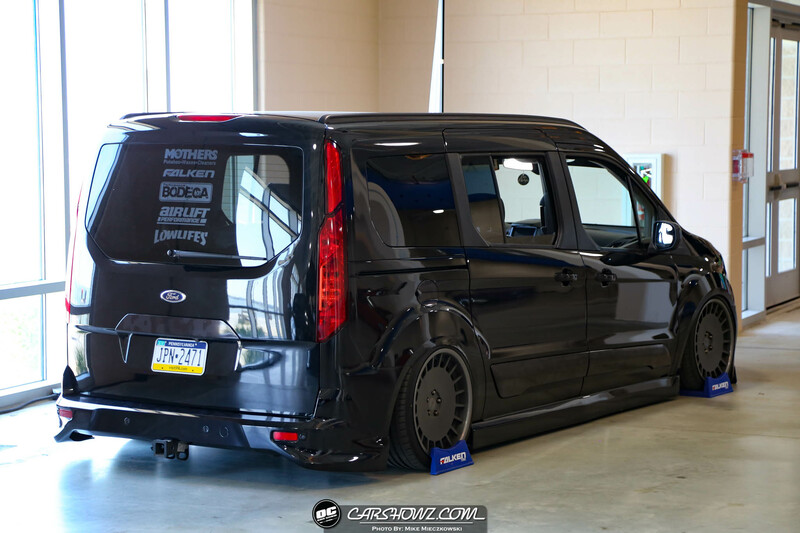 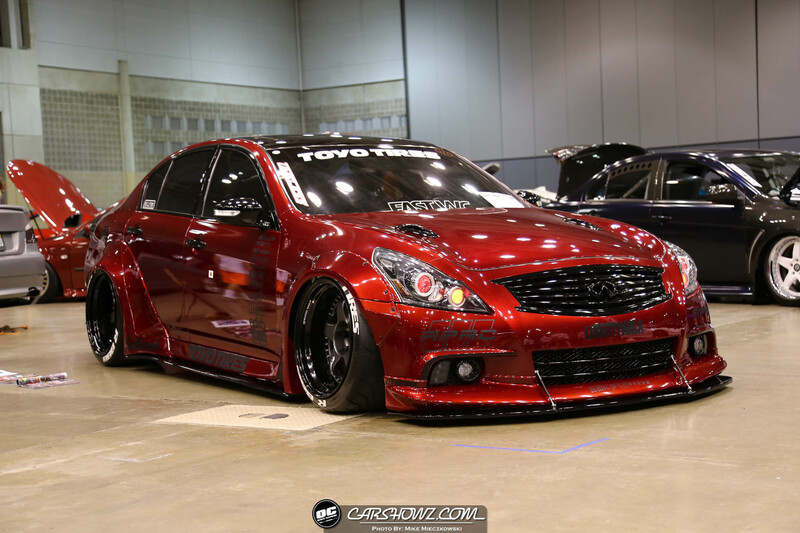 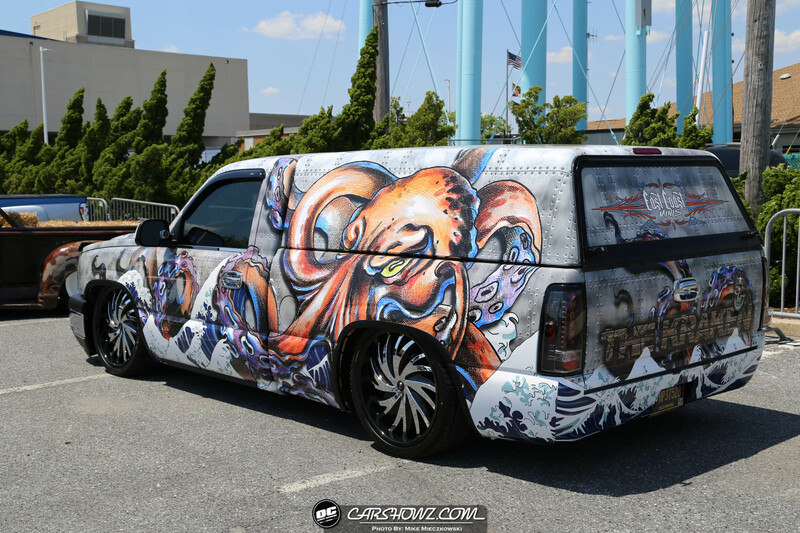 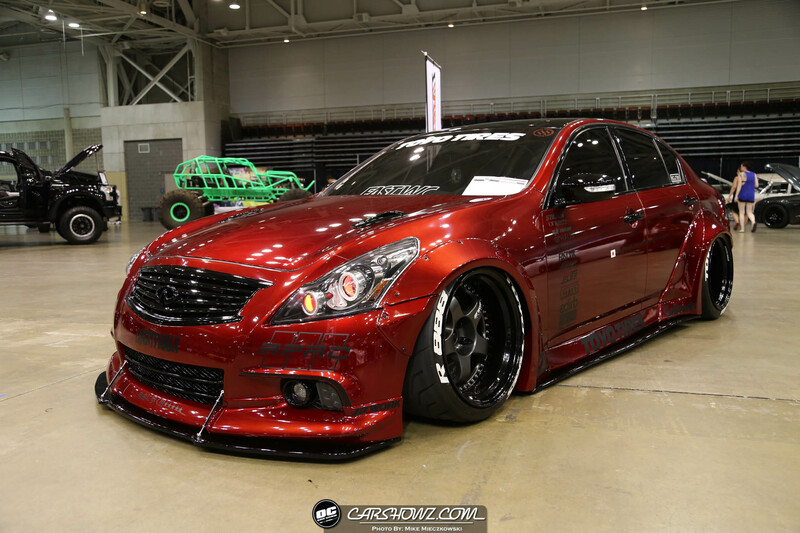 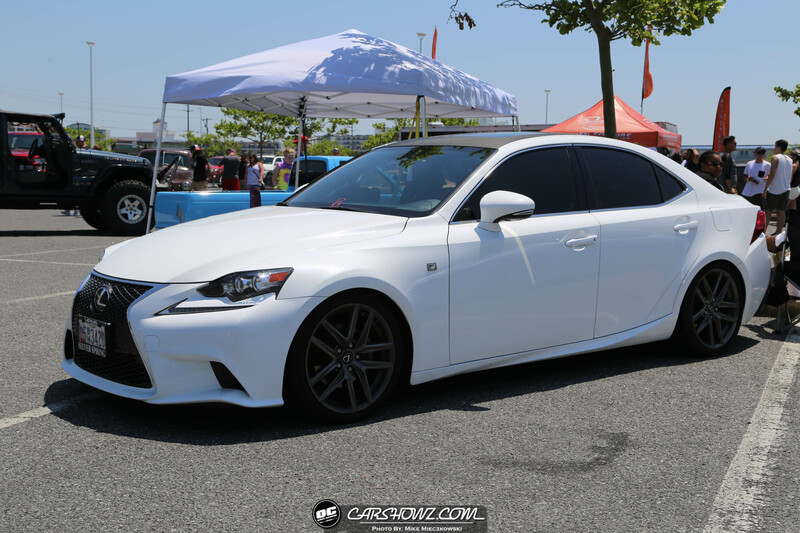 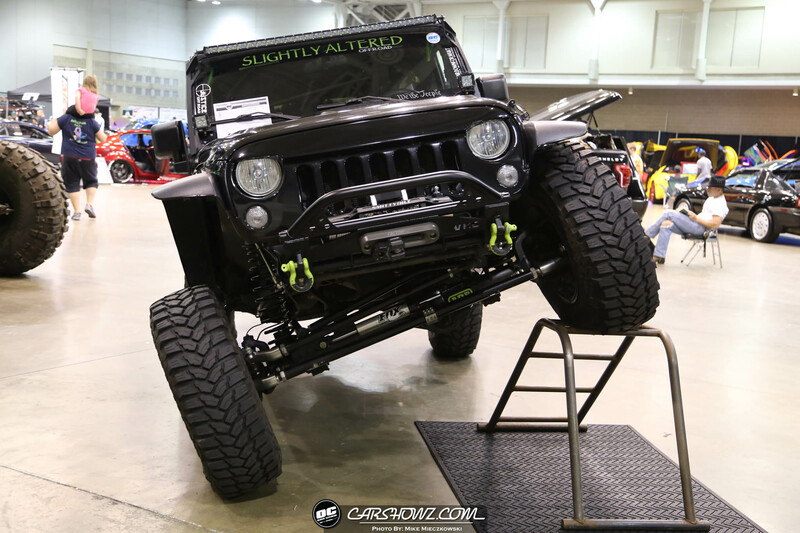 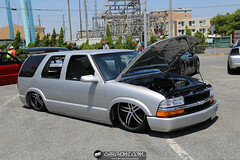 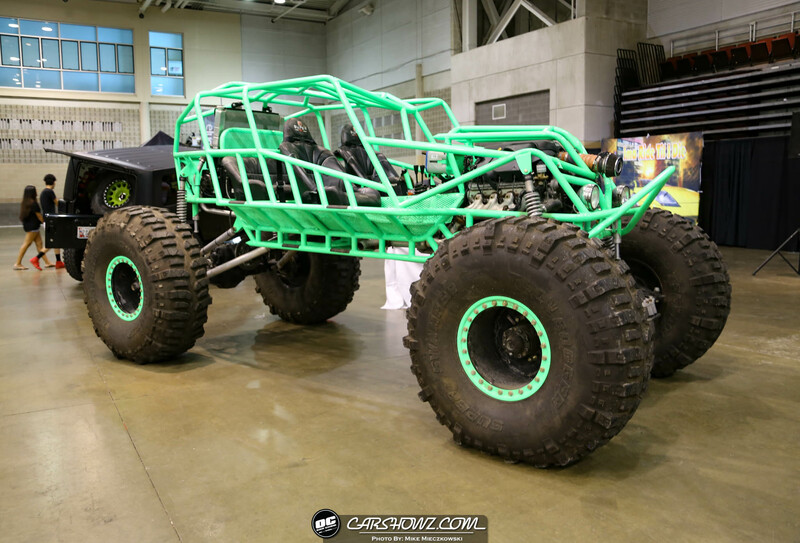 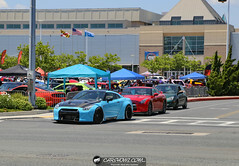 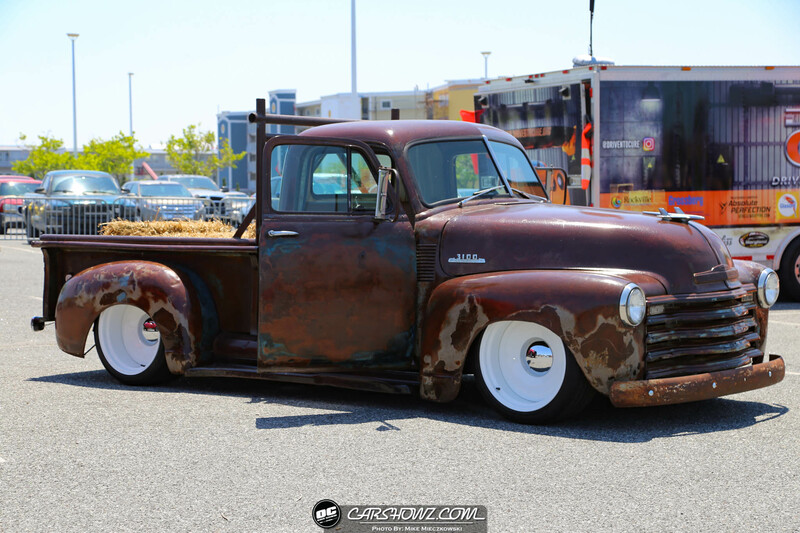 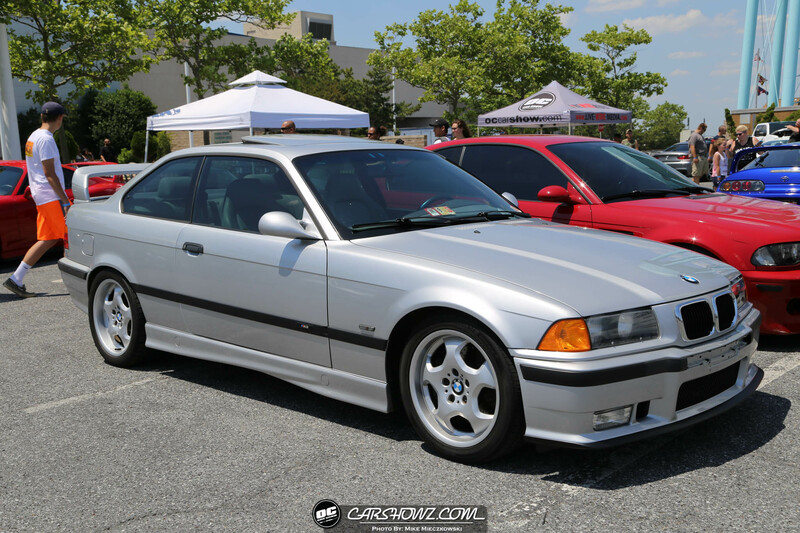 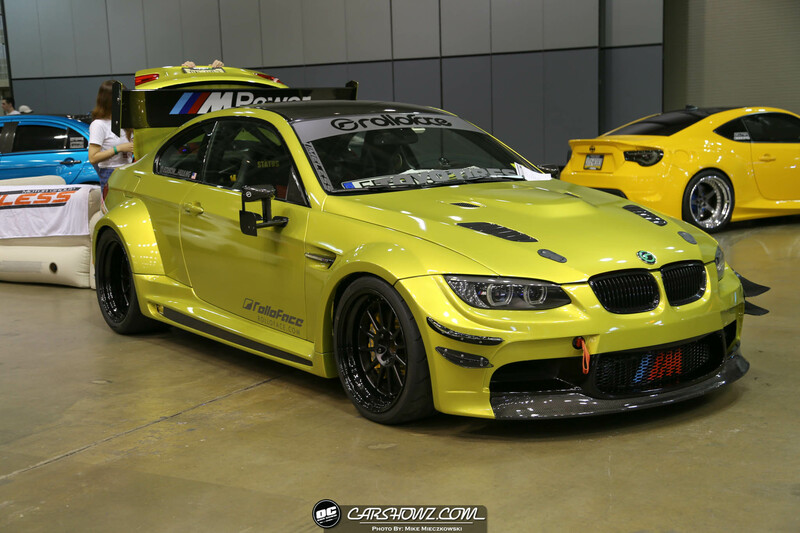 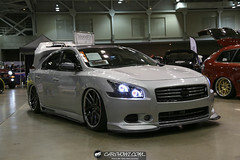 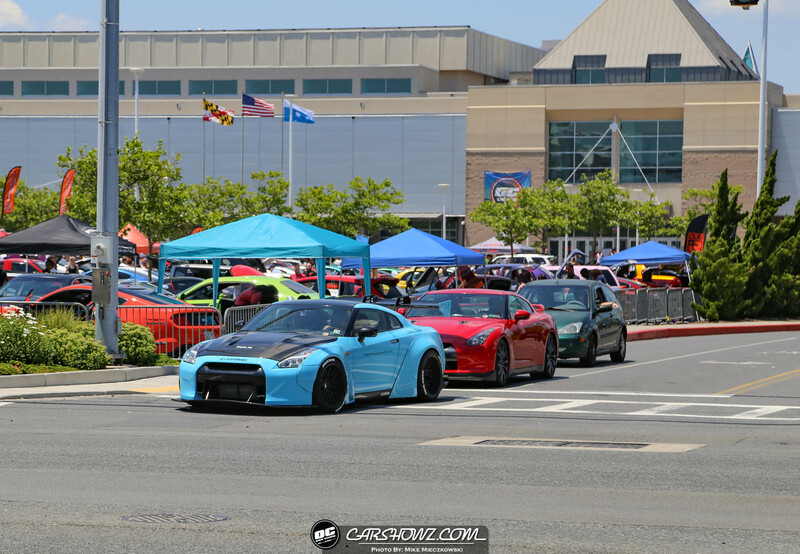 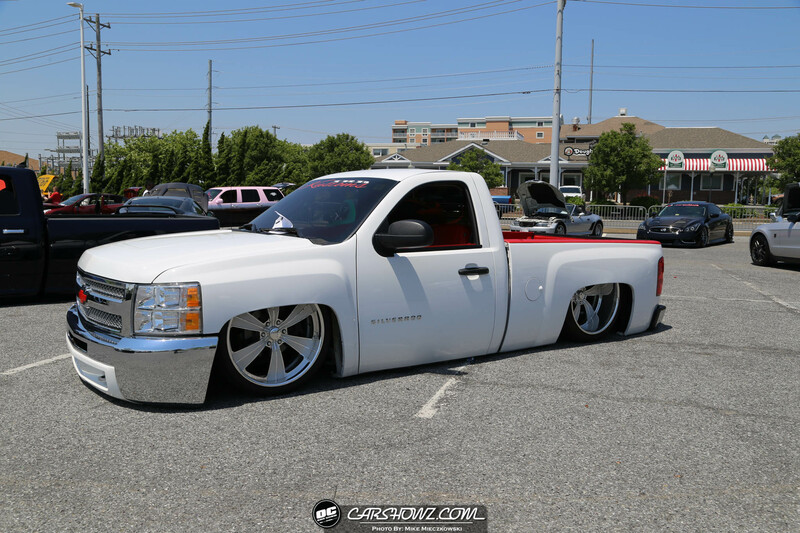 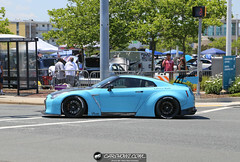 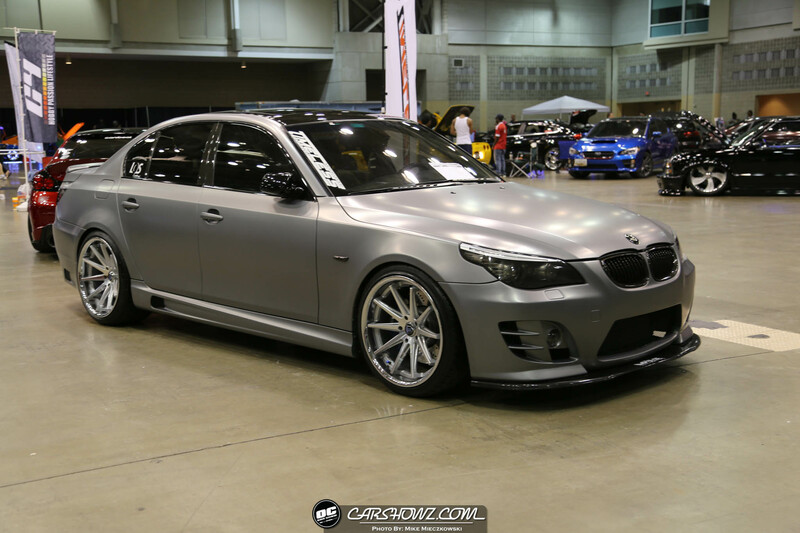 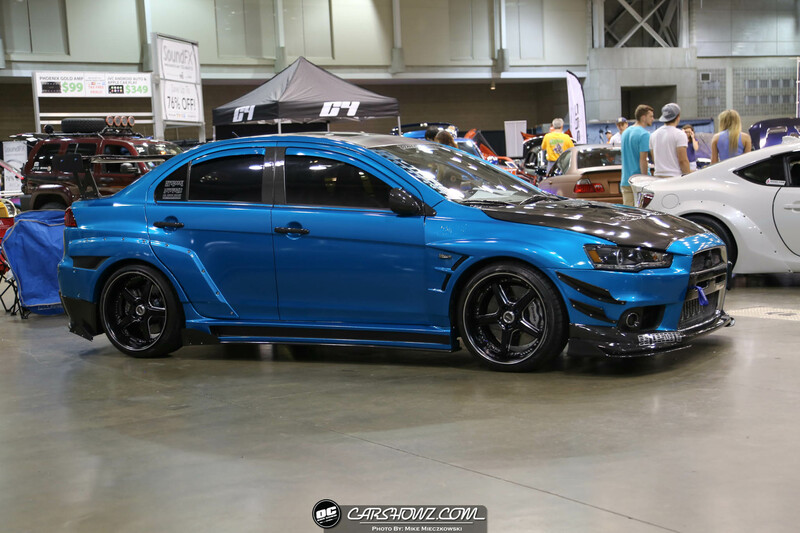 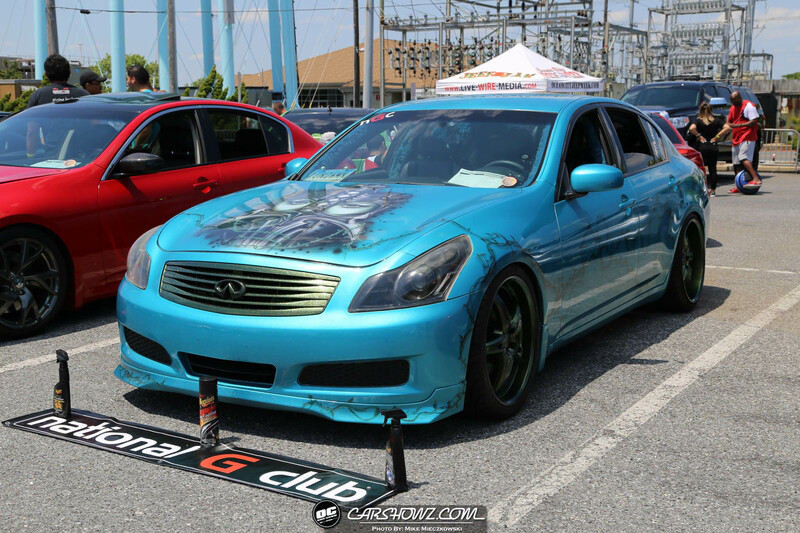 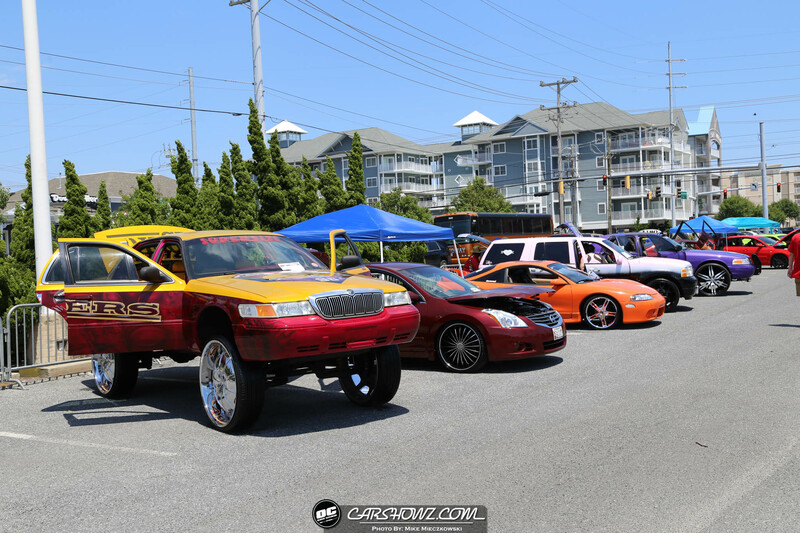 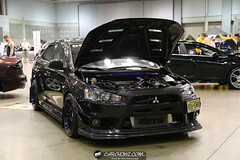 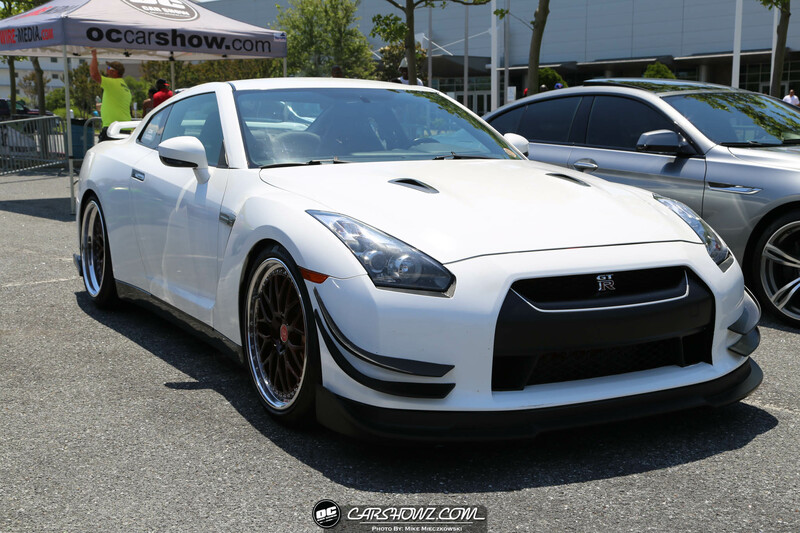 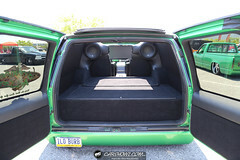 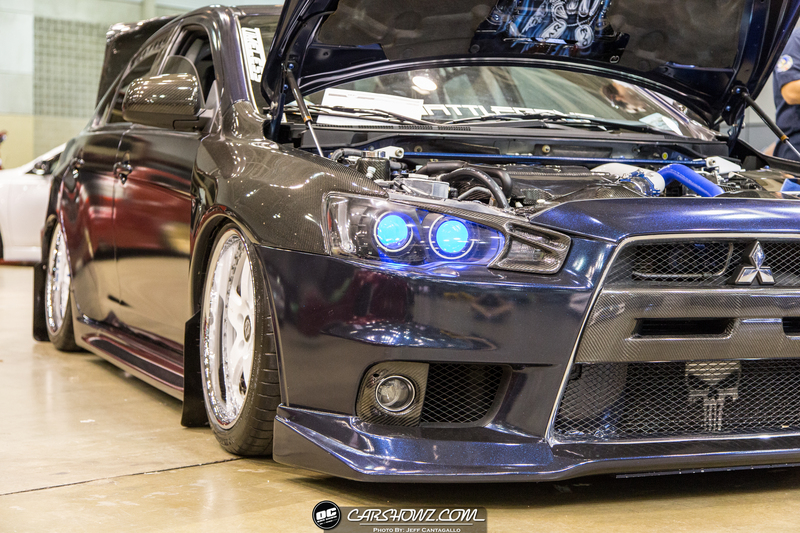 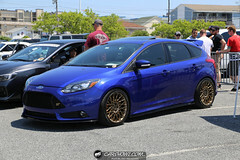 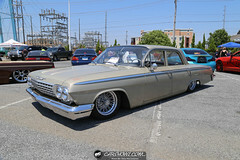 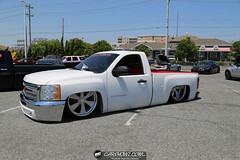 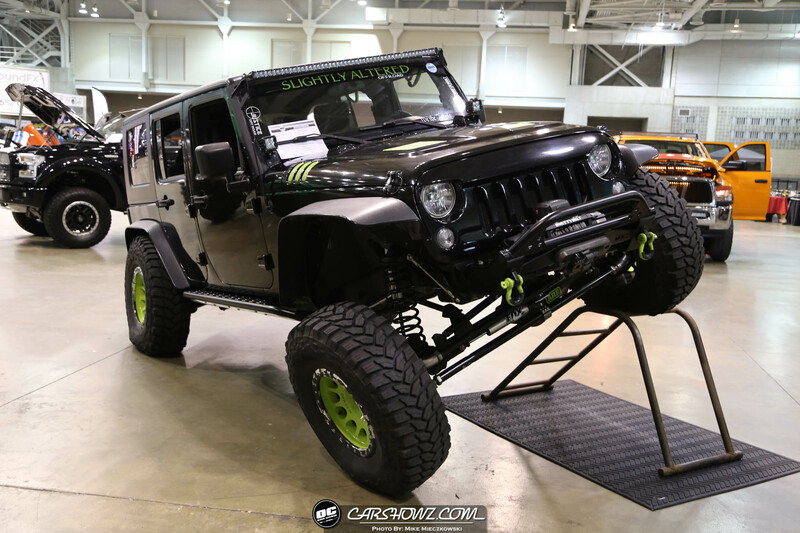 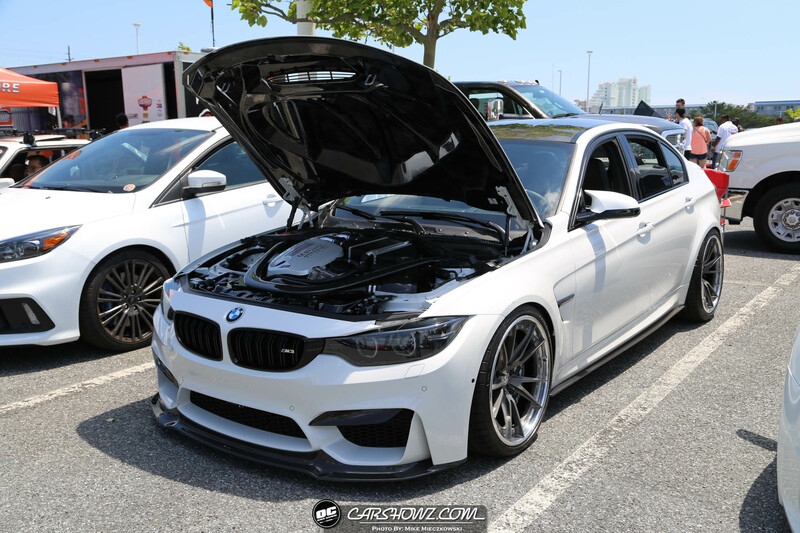 Sunday the indoor show continued and the Shoreline Showdown took over the outside lot. 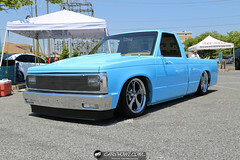 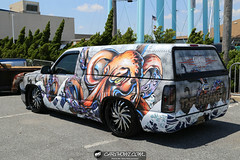 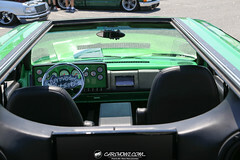 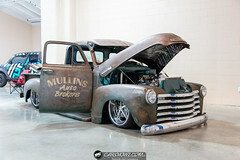 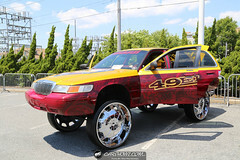 If you are a minitrucker or a fan of them this was a great event put on by East Coast Minis. 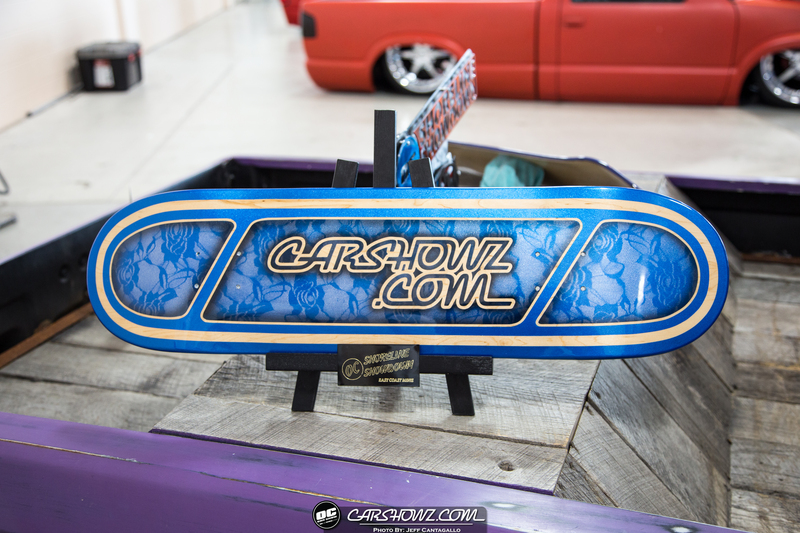 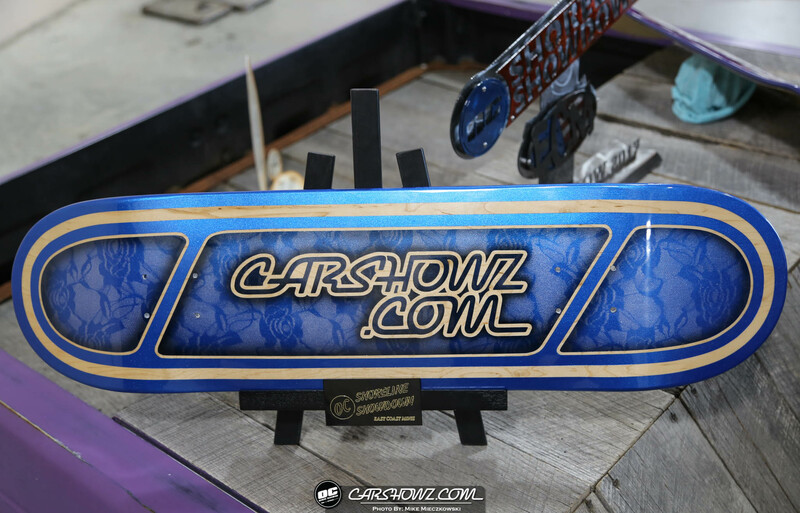 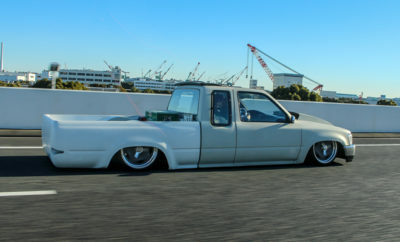 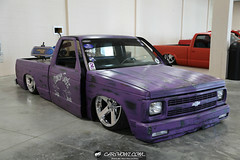 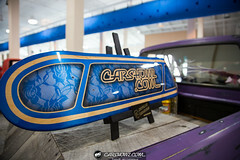 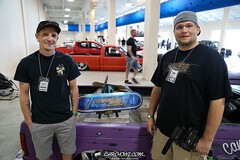 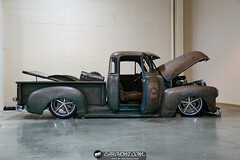 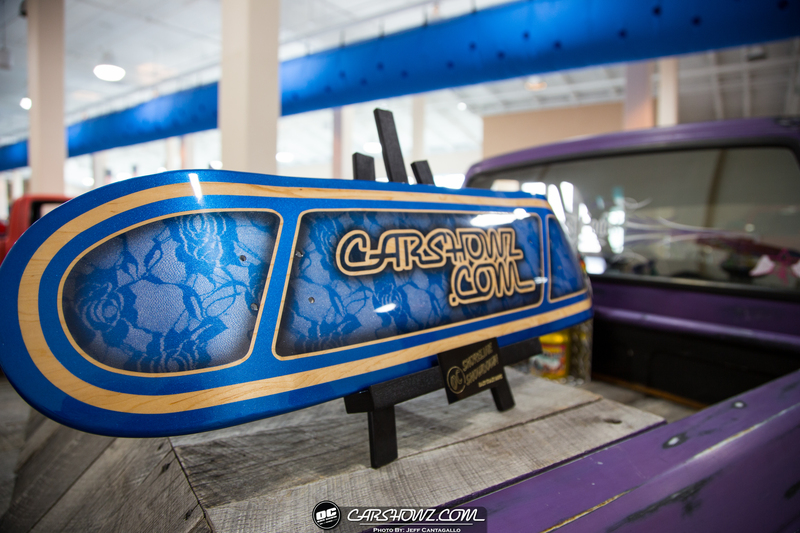 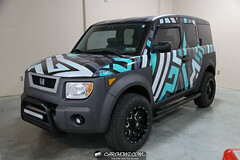 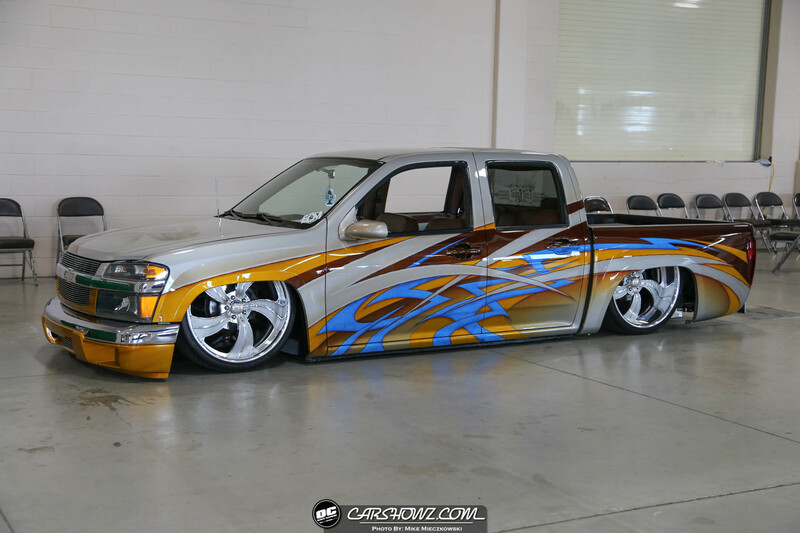 Austin’s truck that won Carshowz Choice was definitely my favorite in the show and I was happy to see him receive the killer custom skate deck from House of Hack. 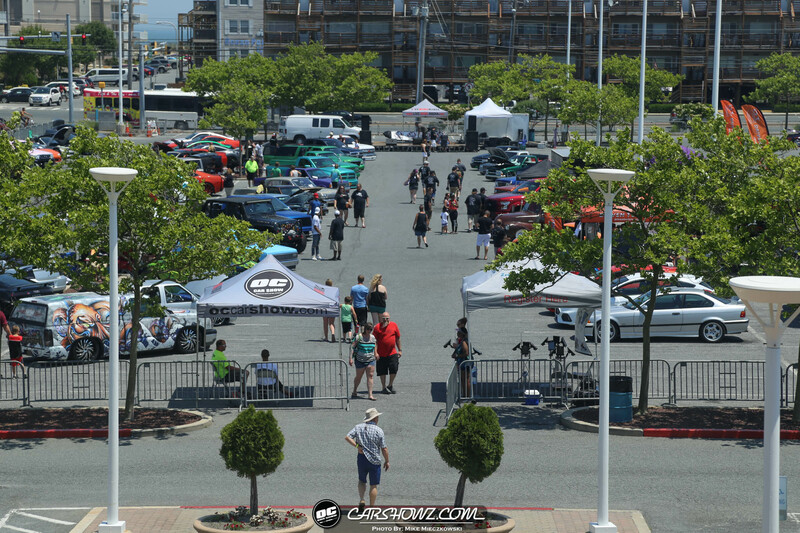 I’m already looking forward to spending another weekend in OCMD next year and hope the event continues on and gets stronger.